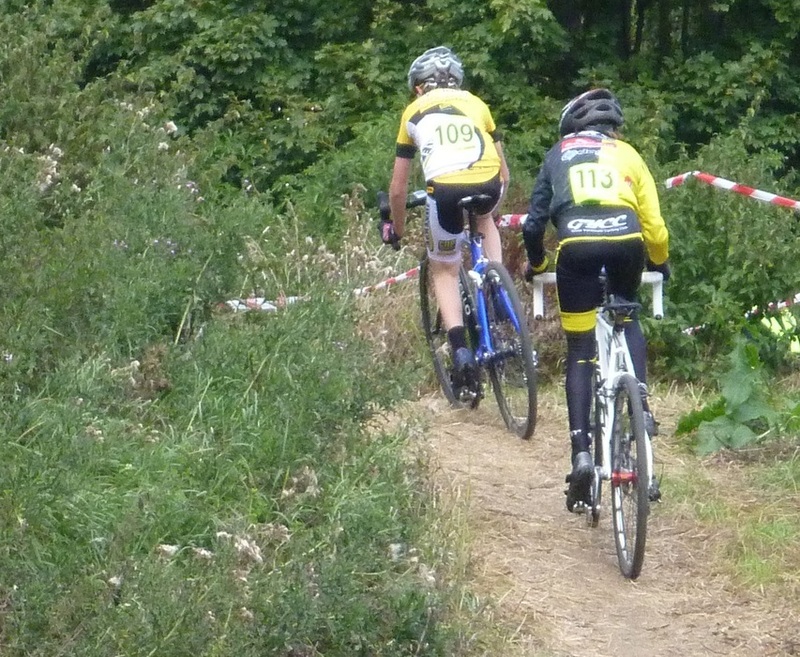 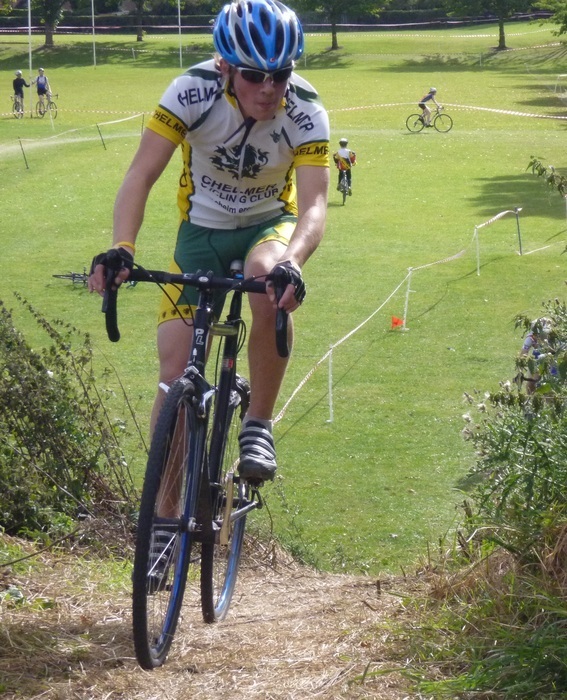 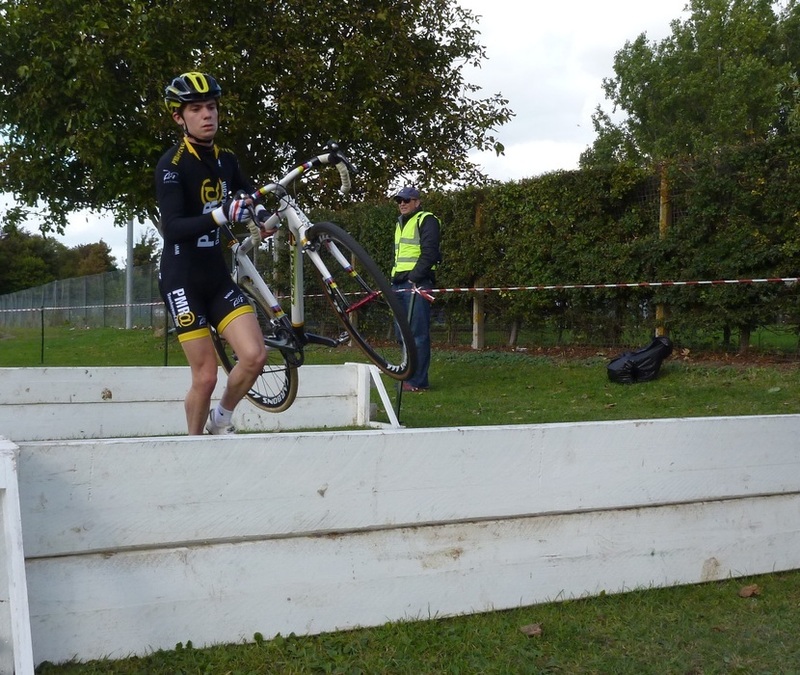 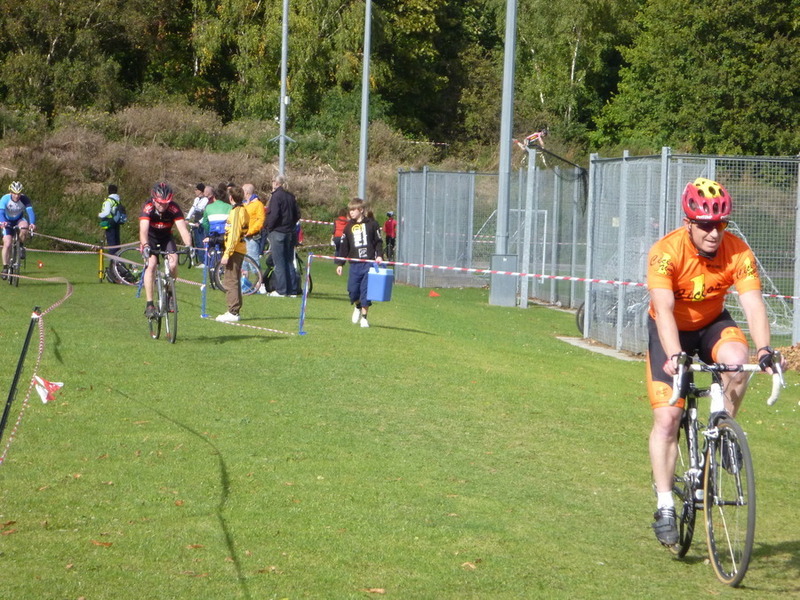 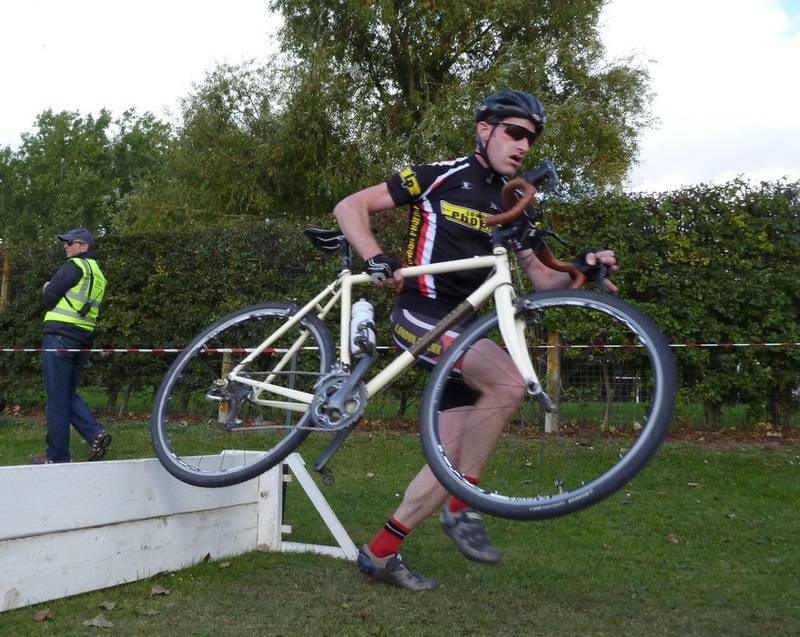 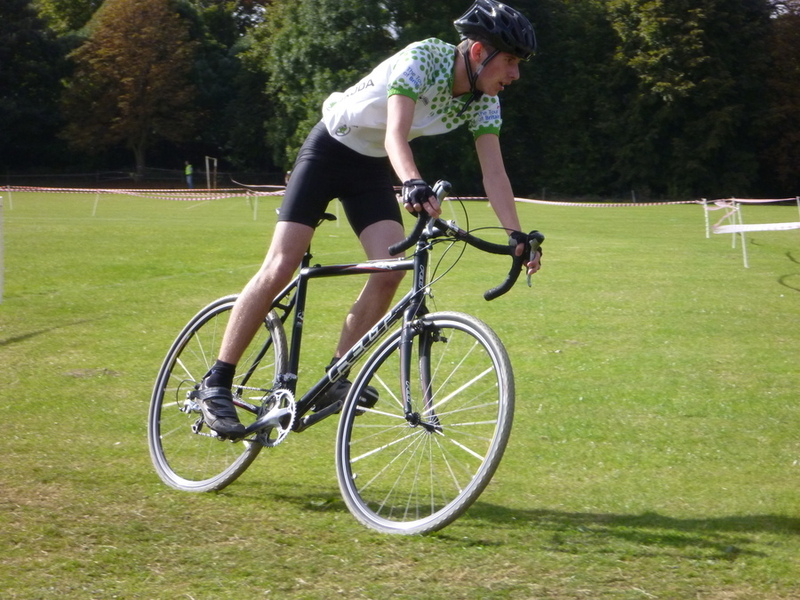 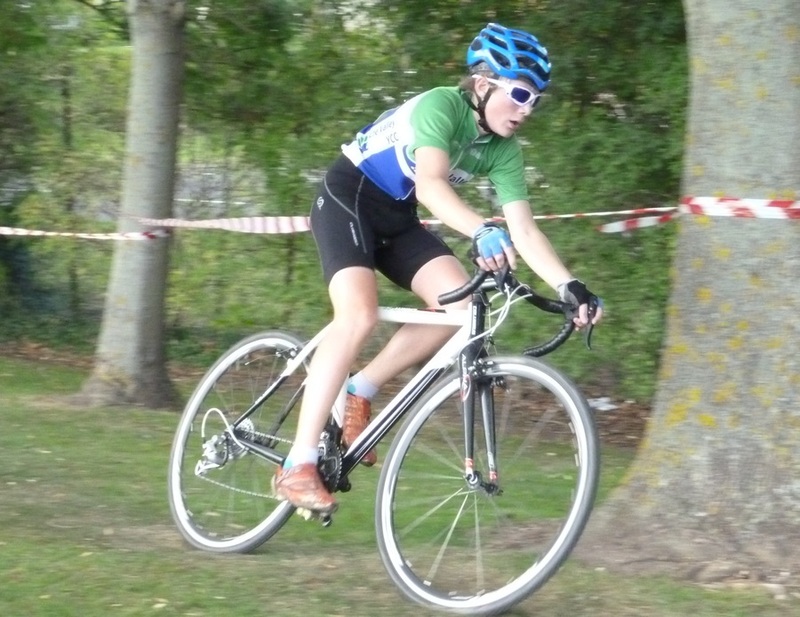 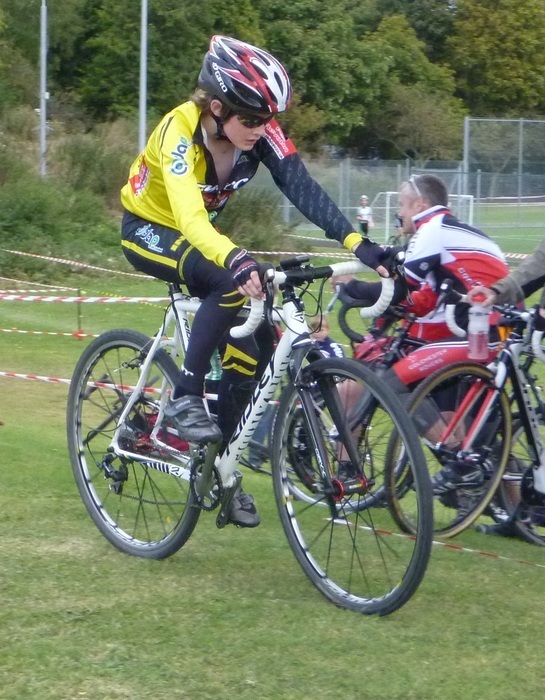 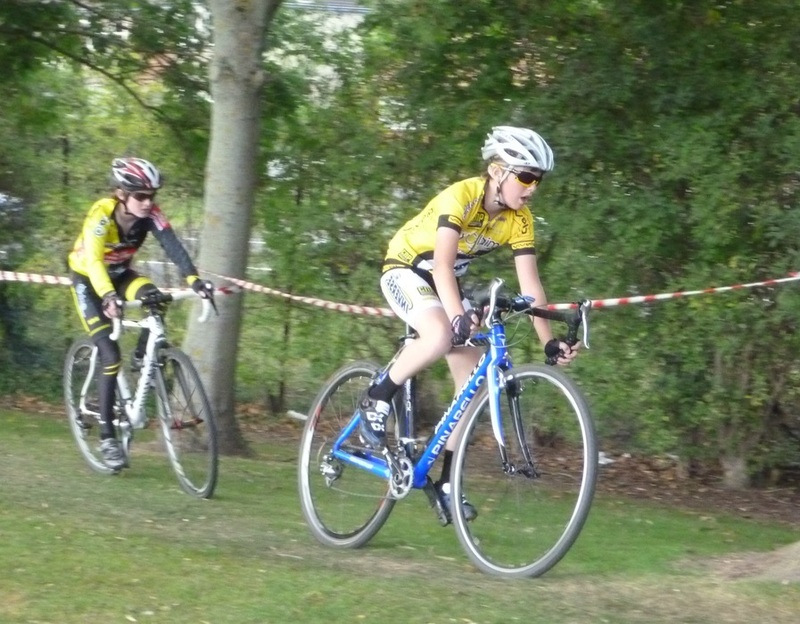 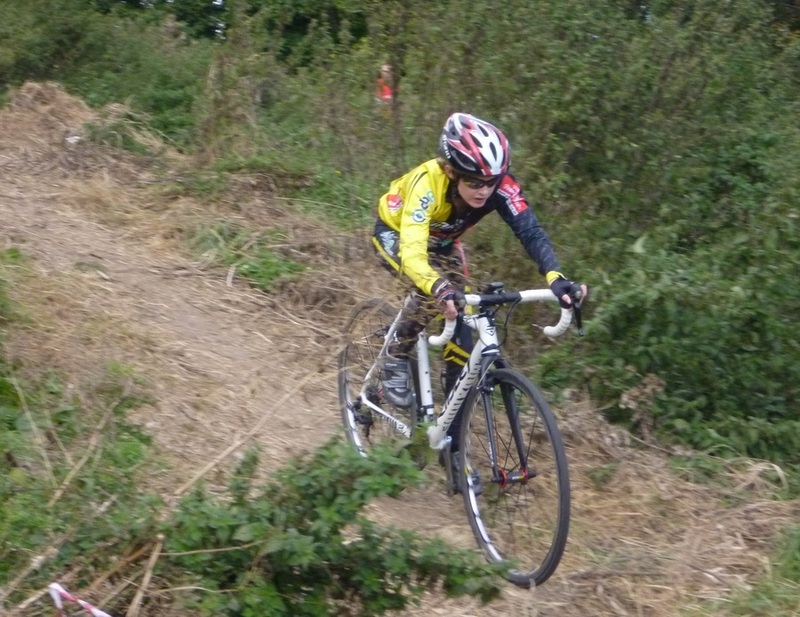 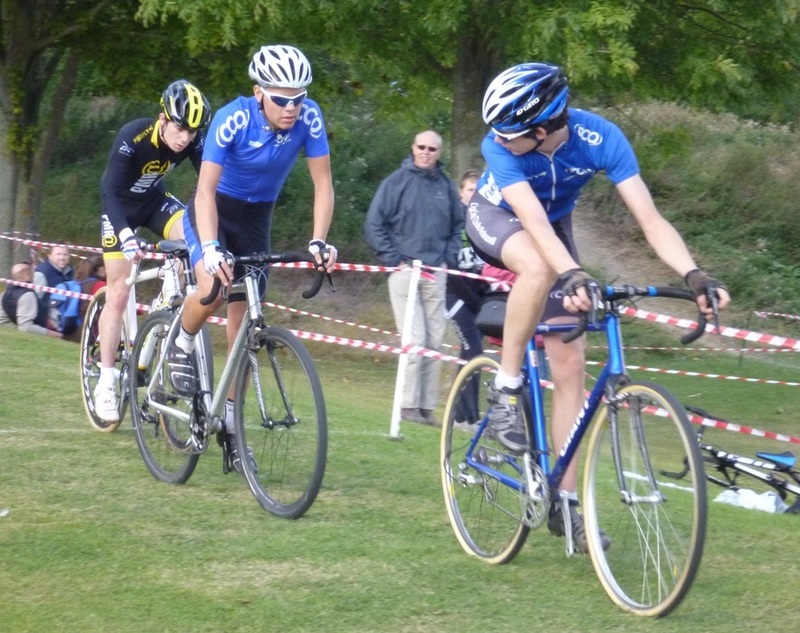 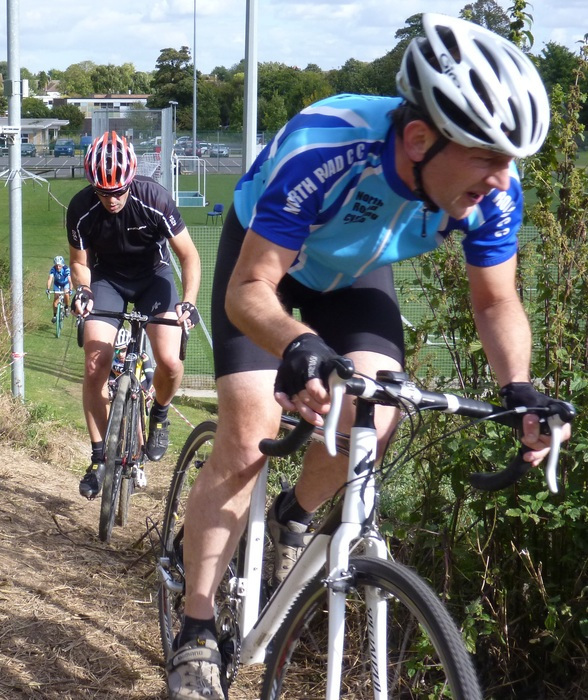 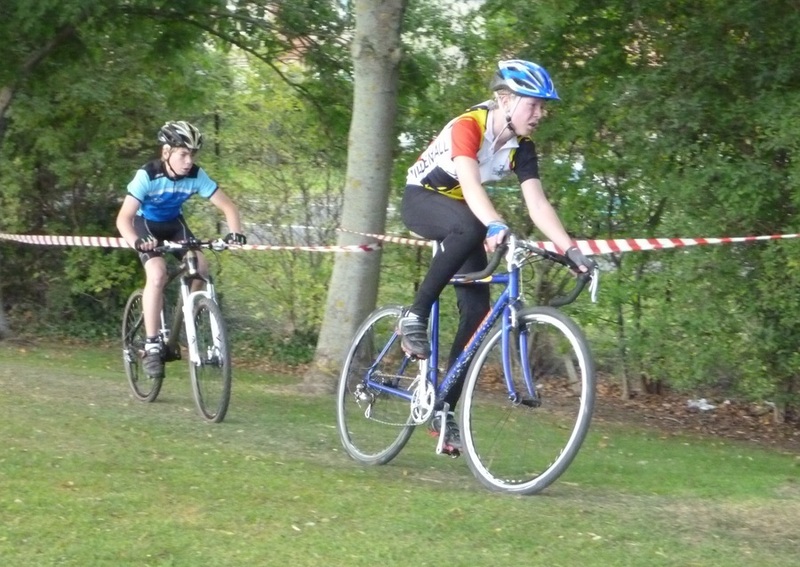 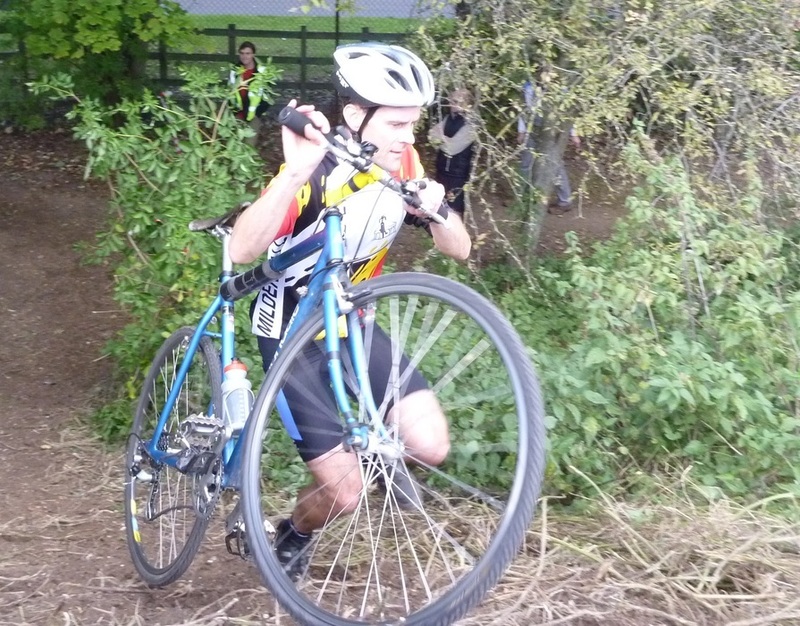 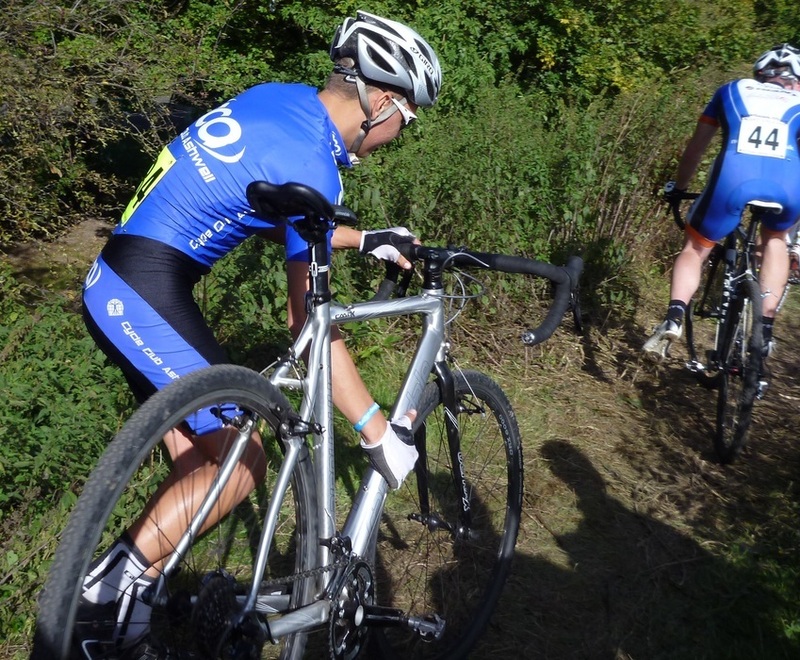 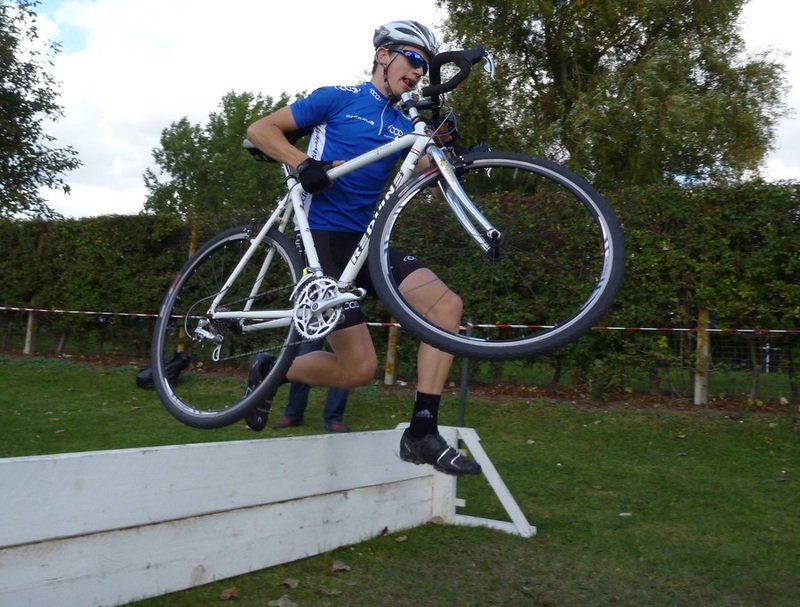 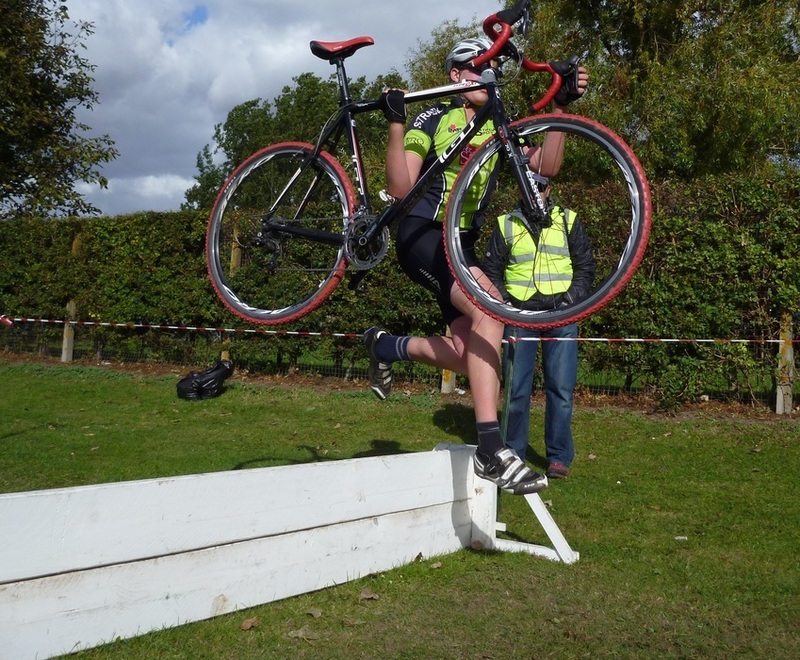 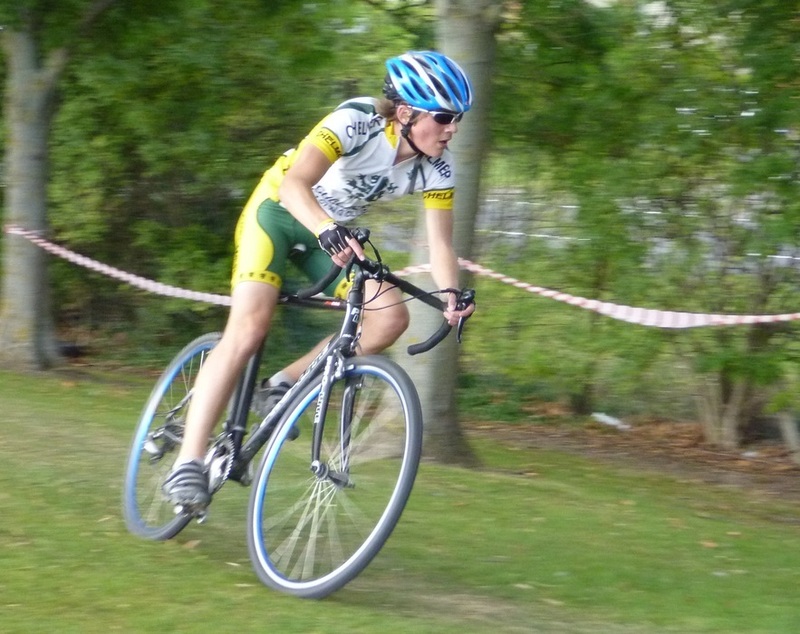 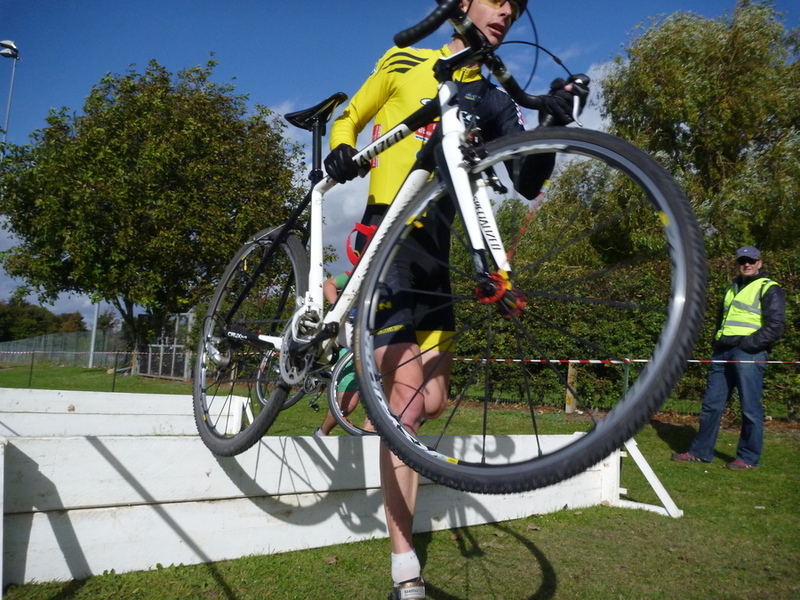 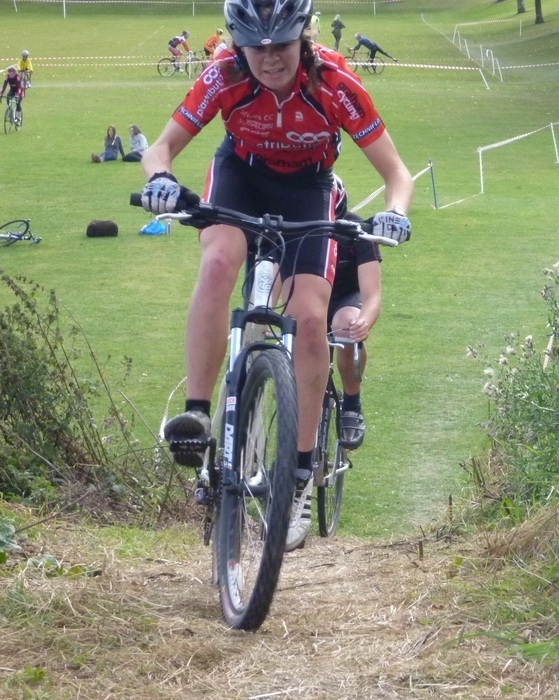 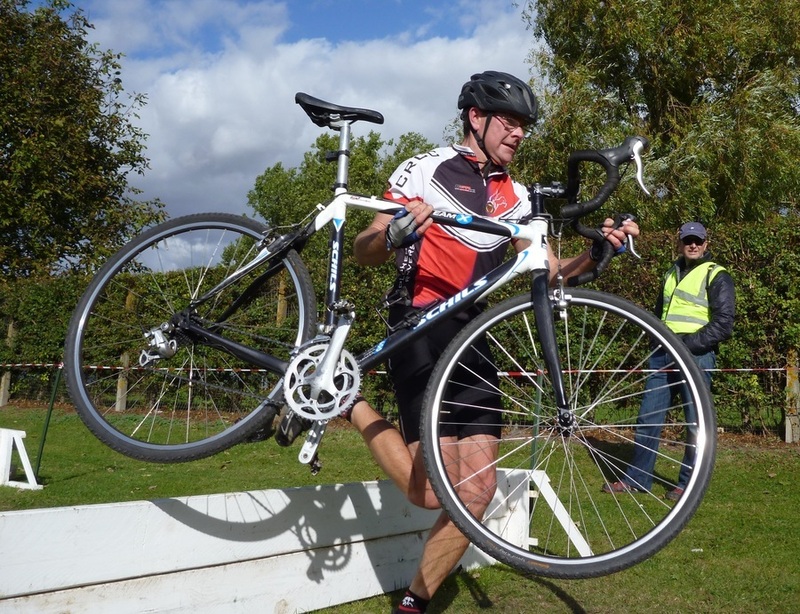 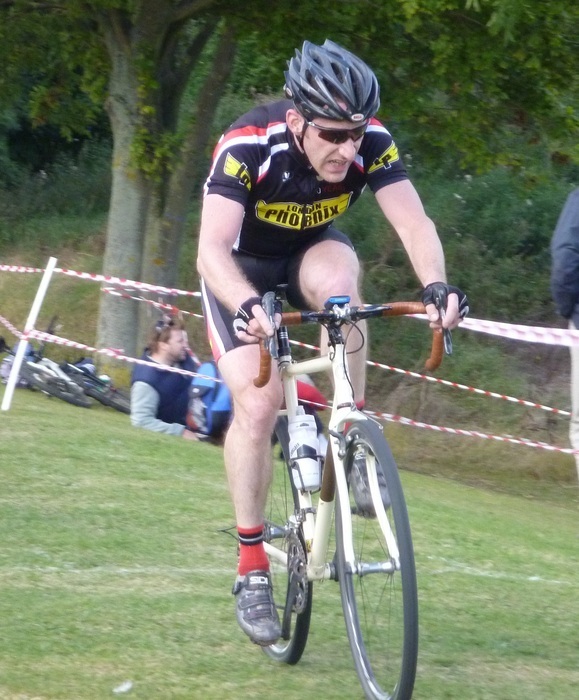 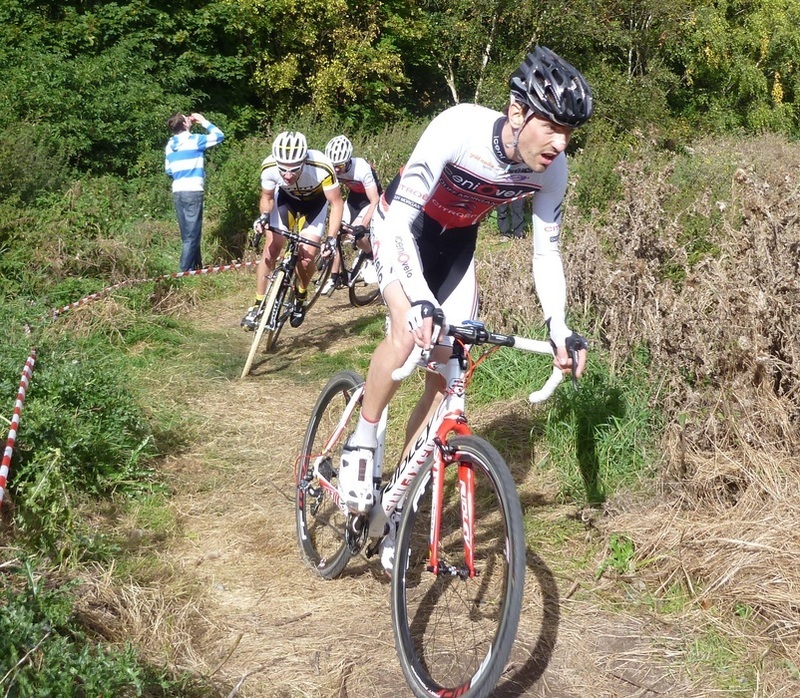 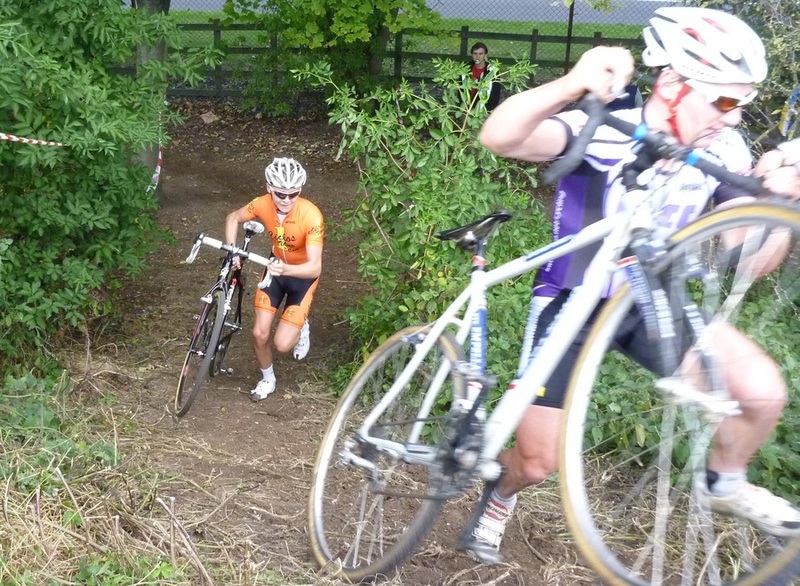 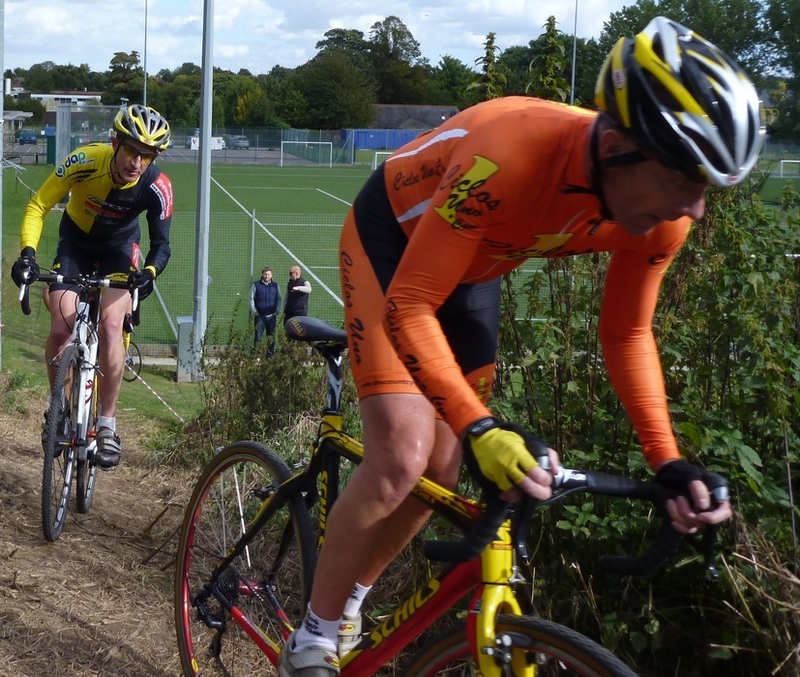 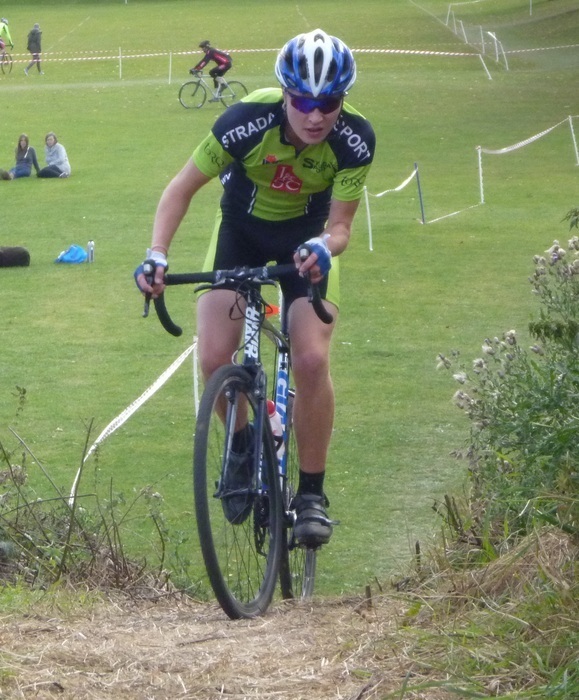 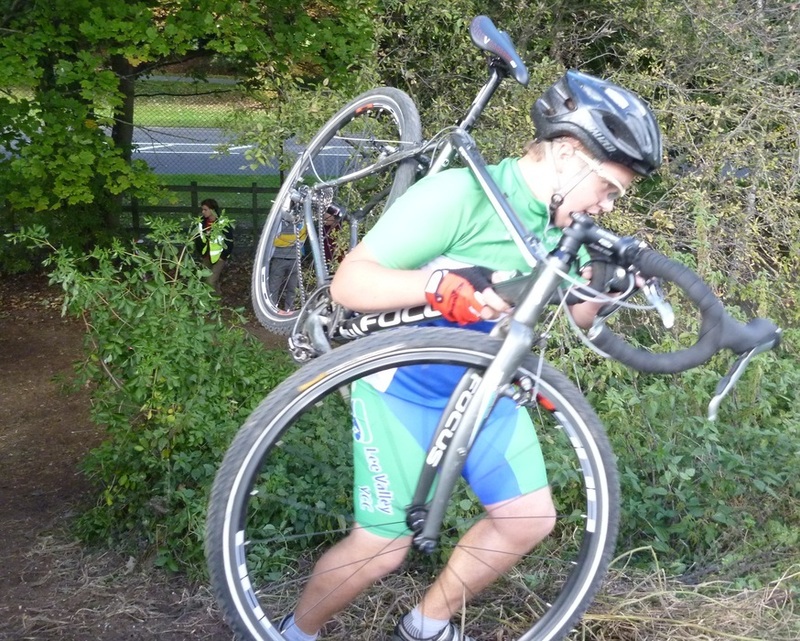 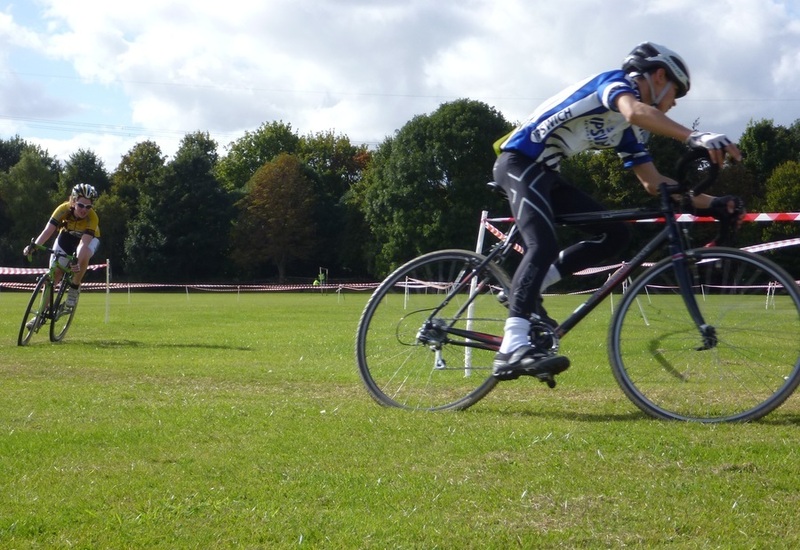 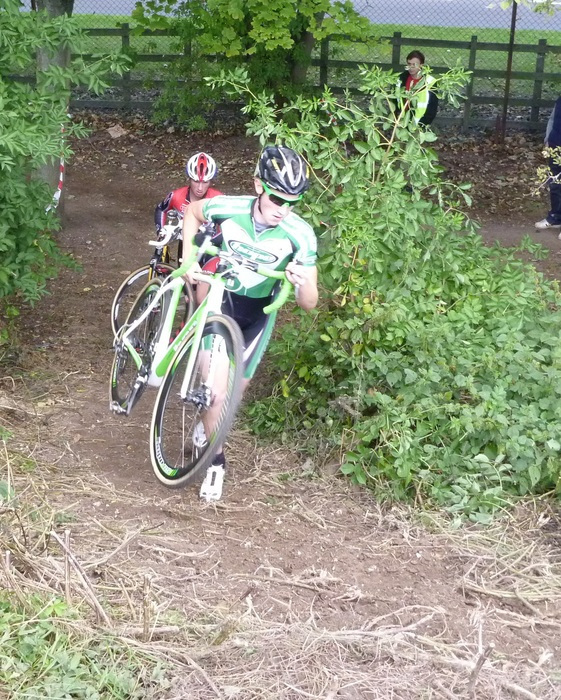 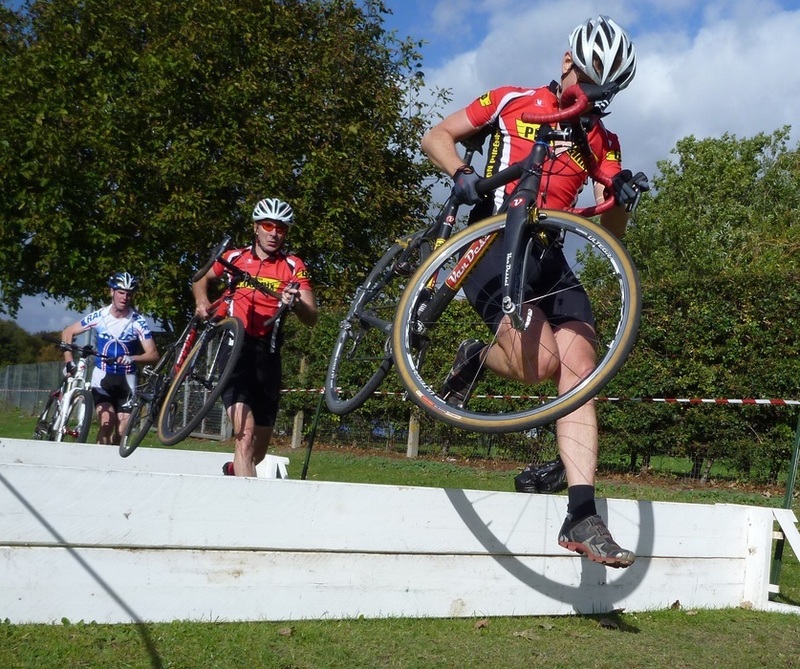 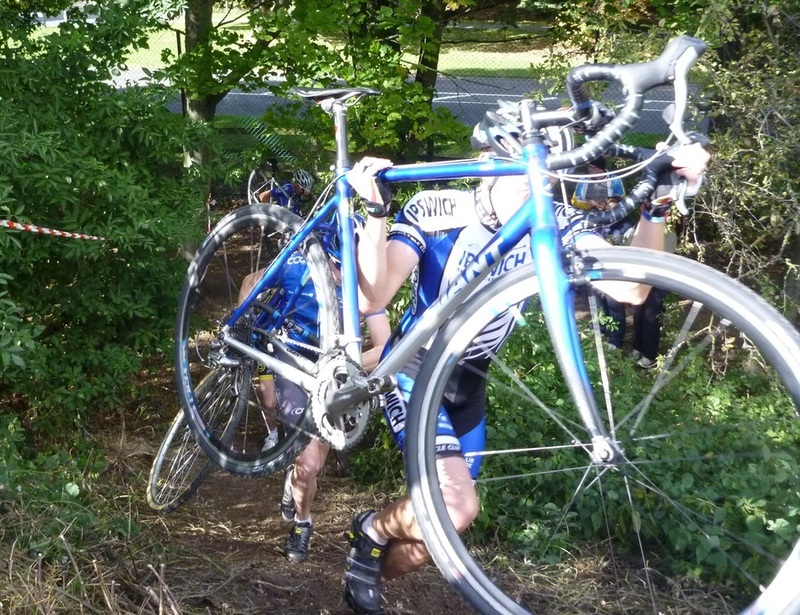 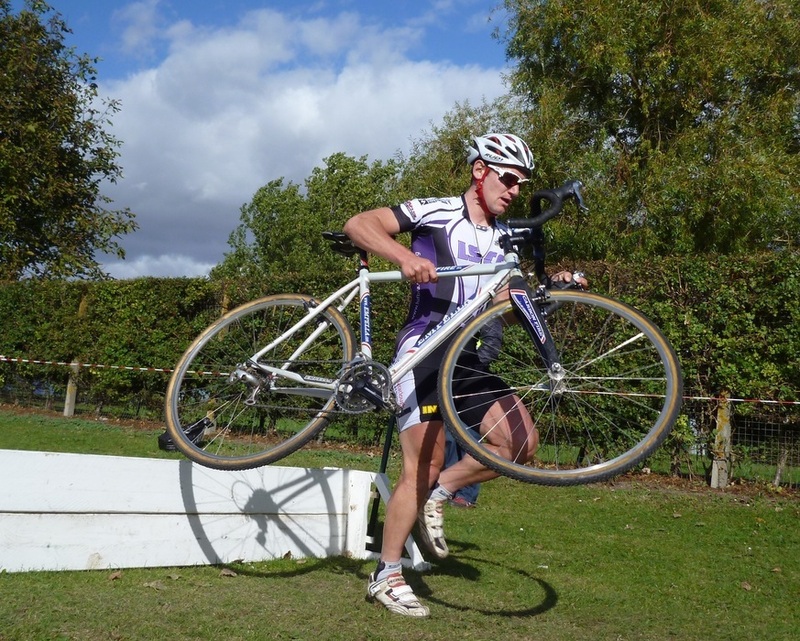 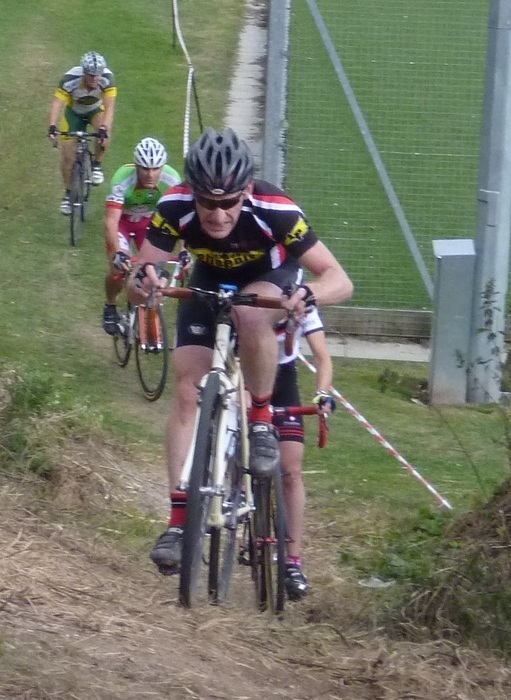 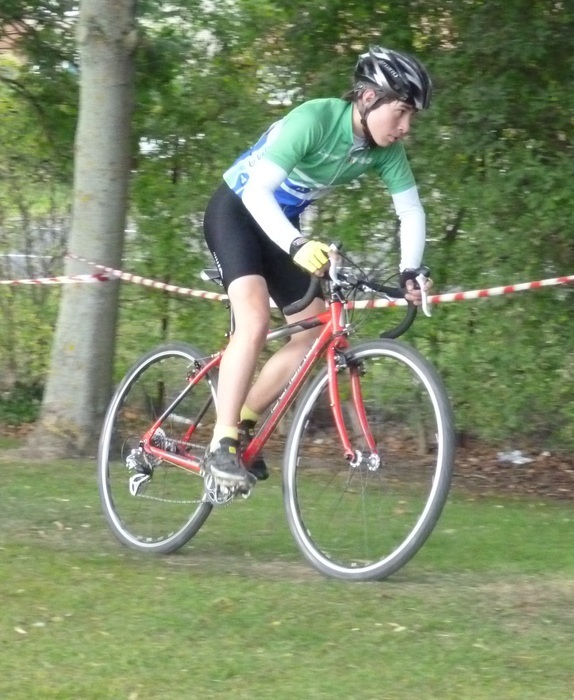 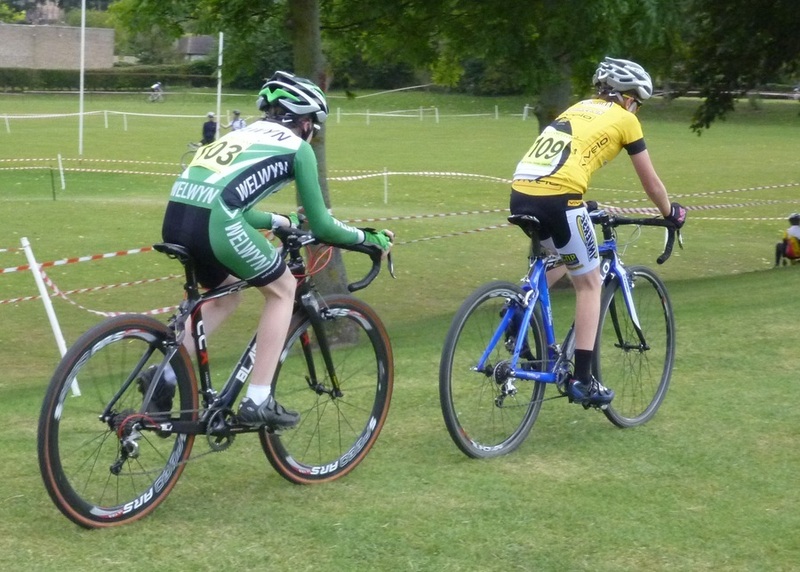 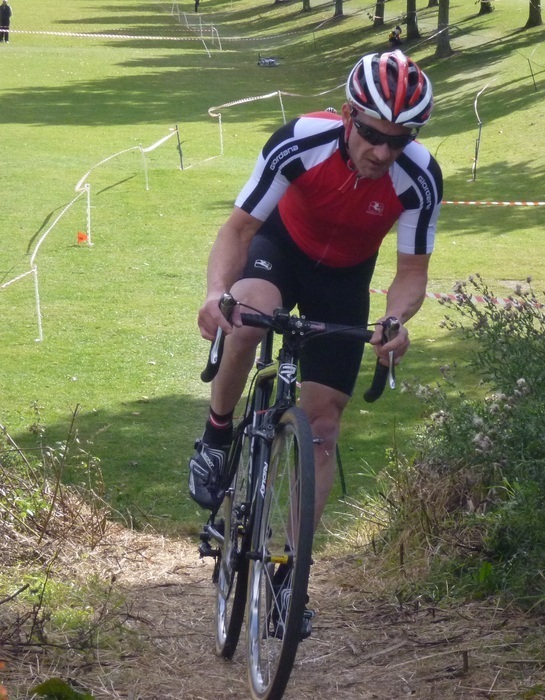 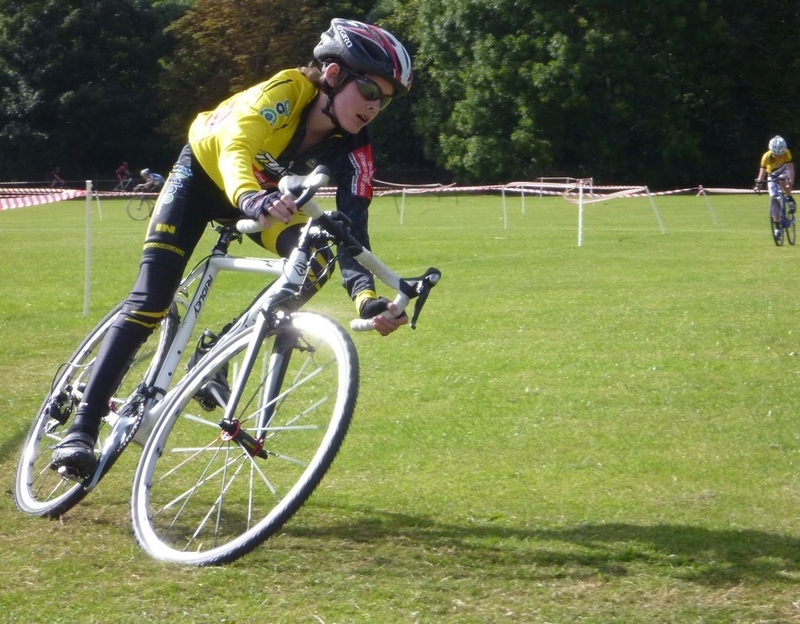 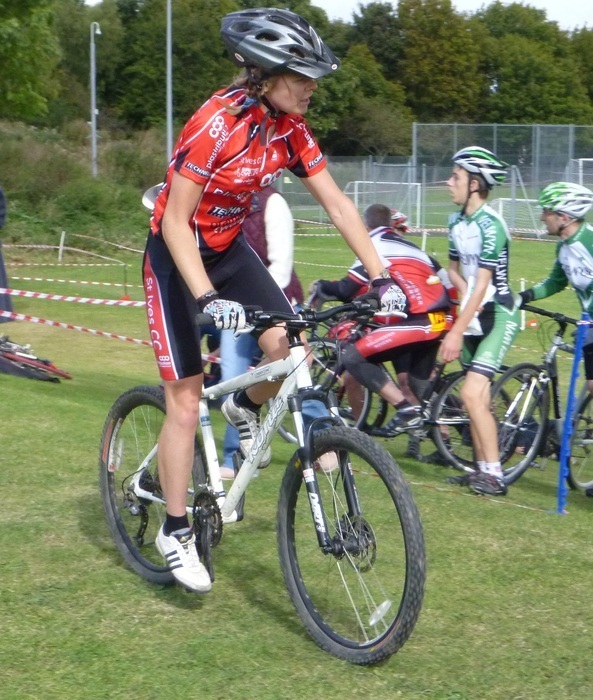 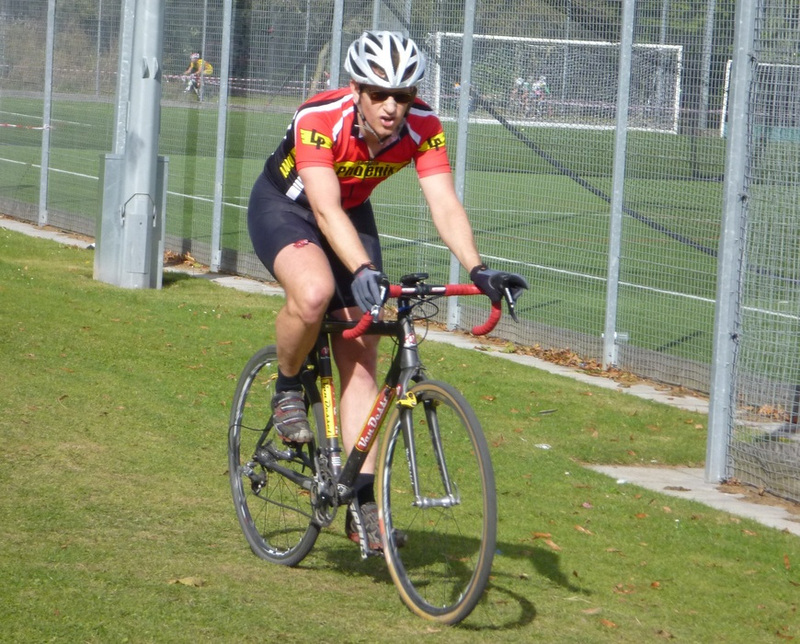 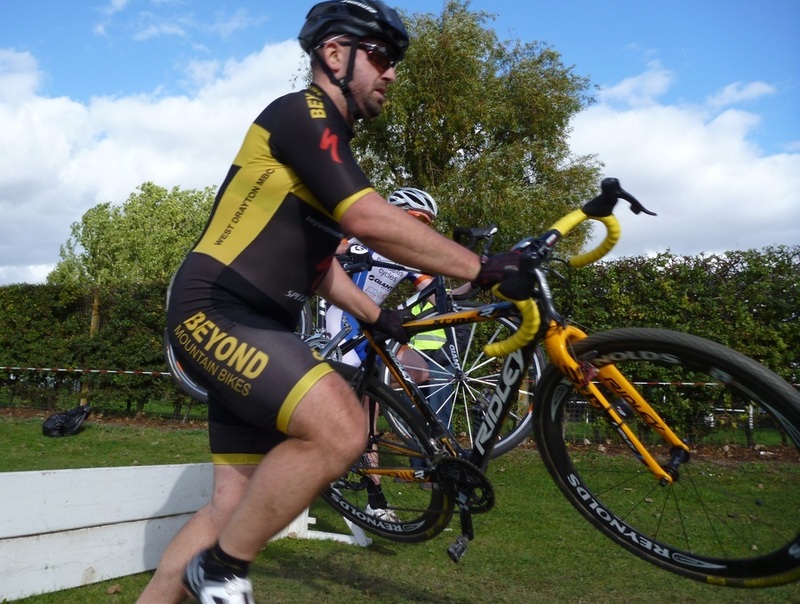 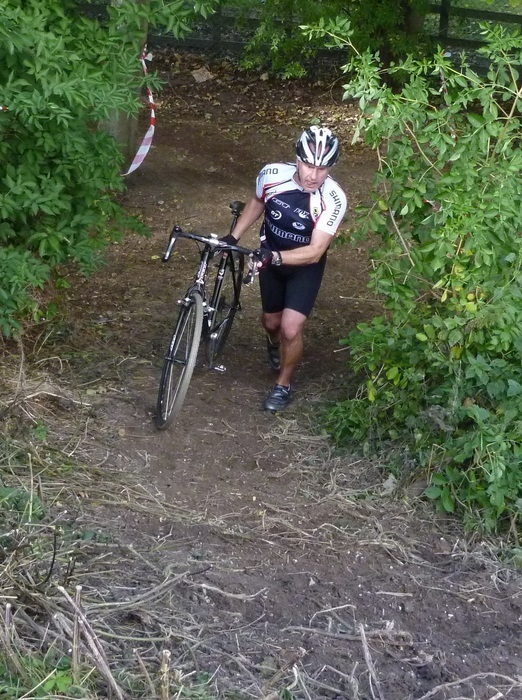 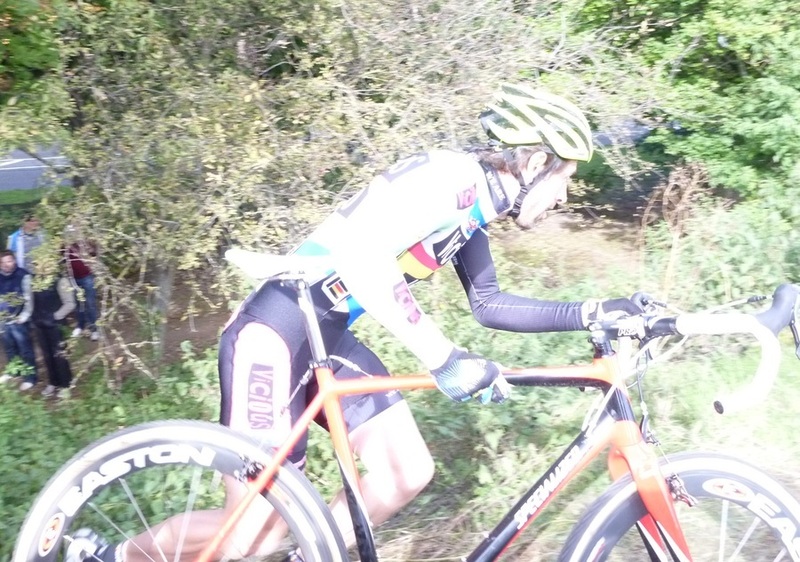 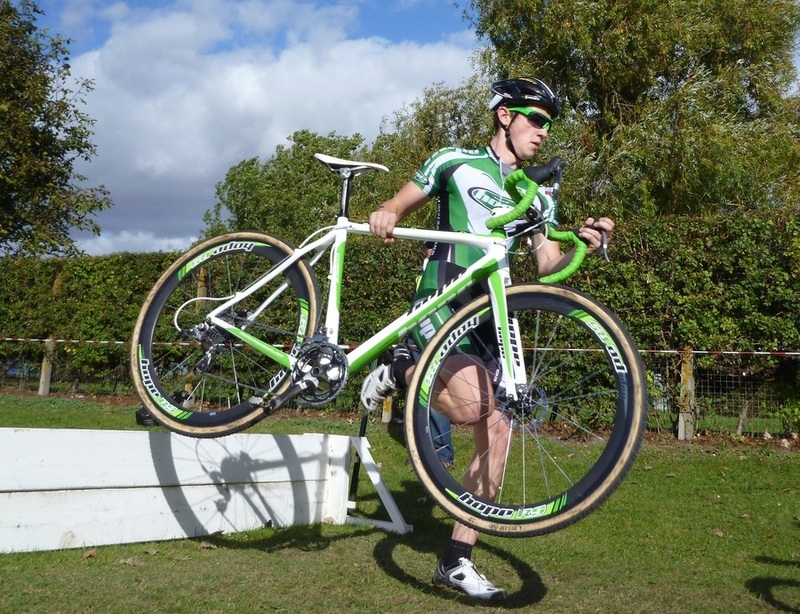 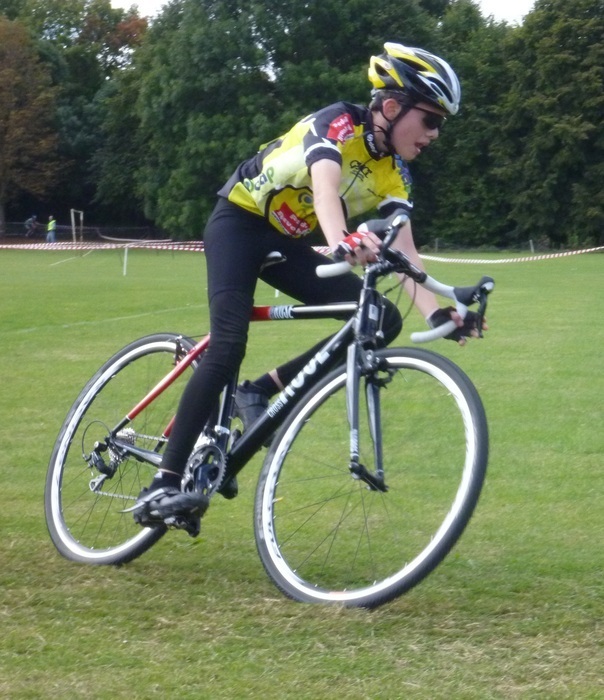 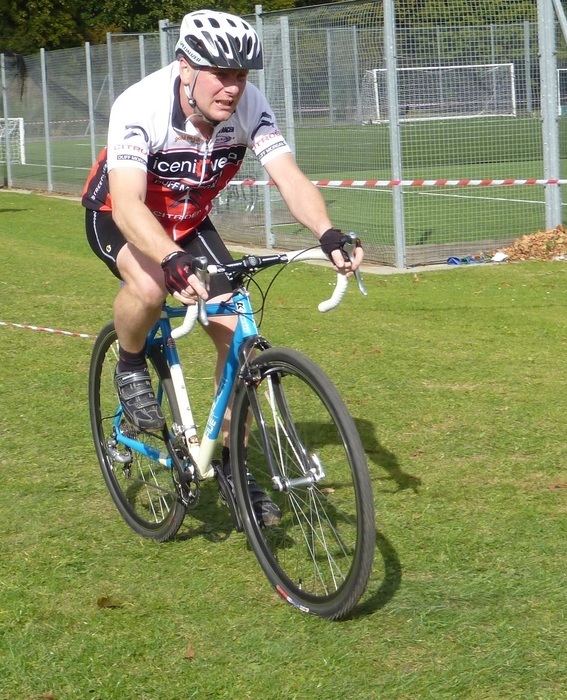 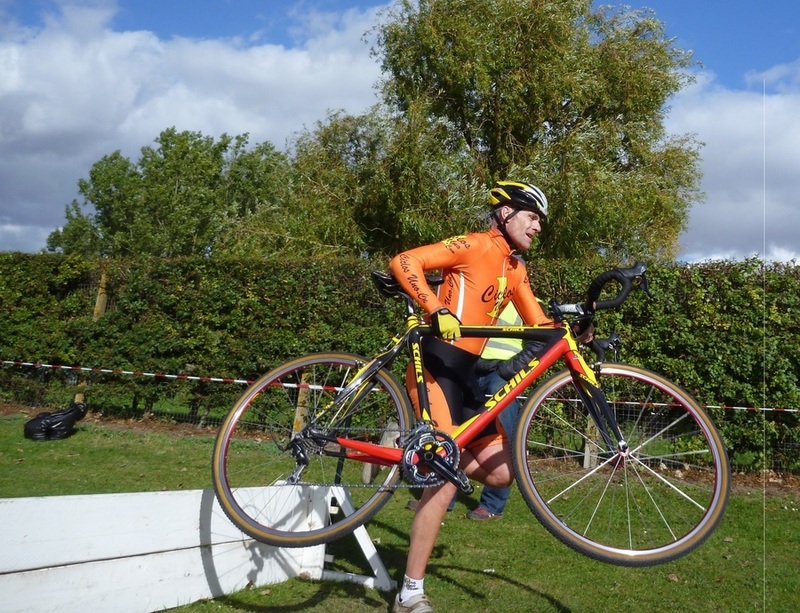 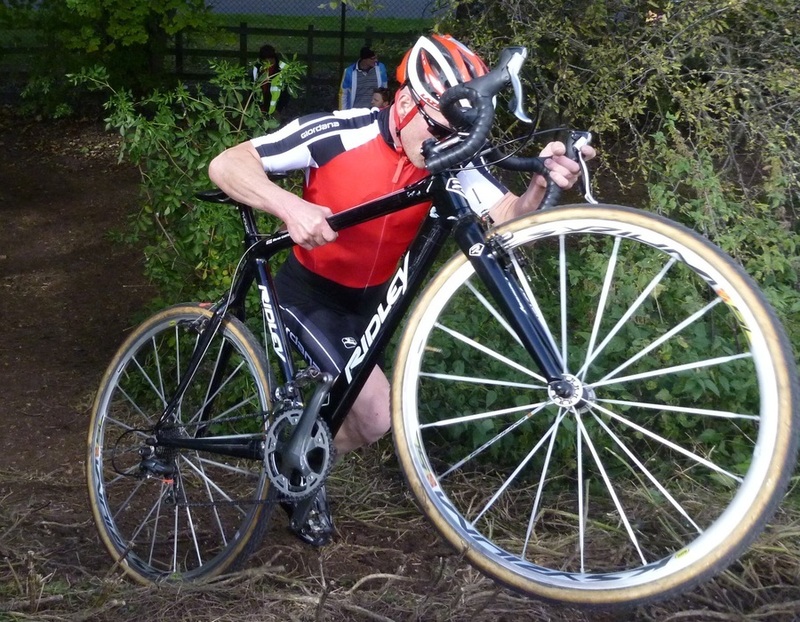 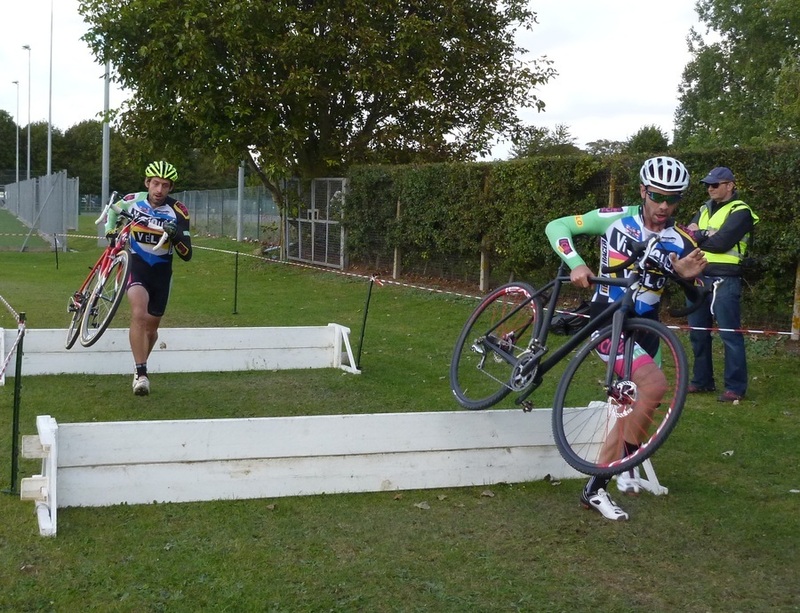 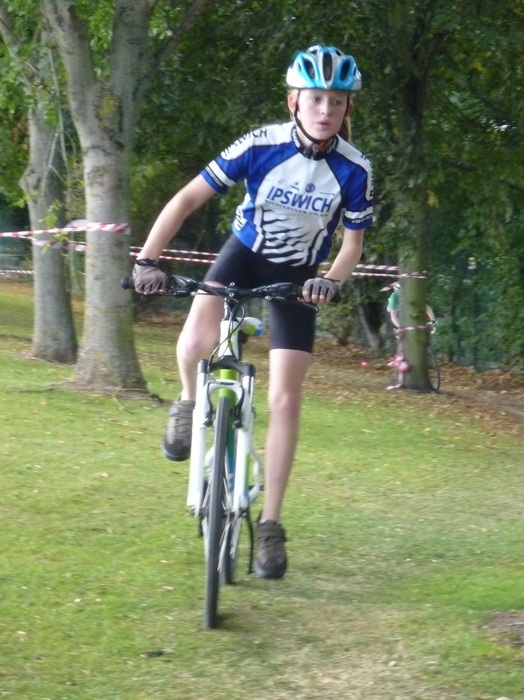 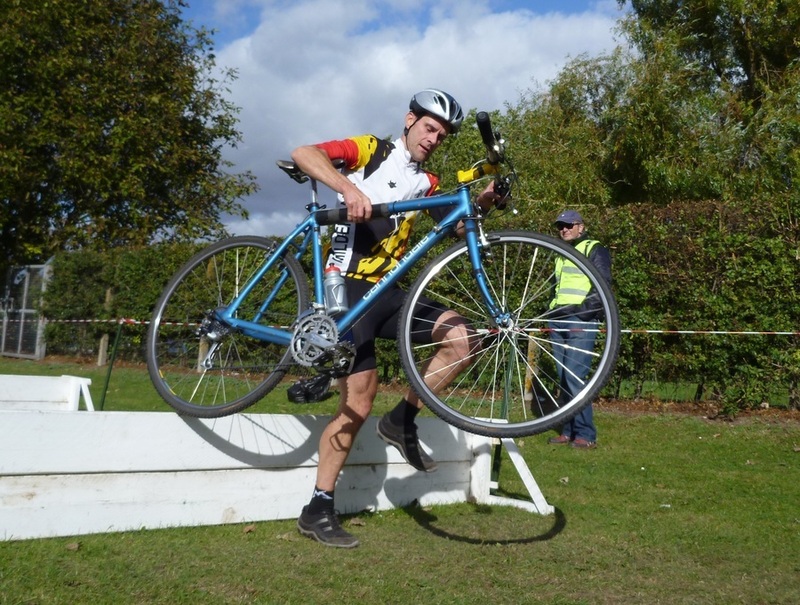 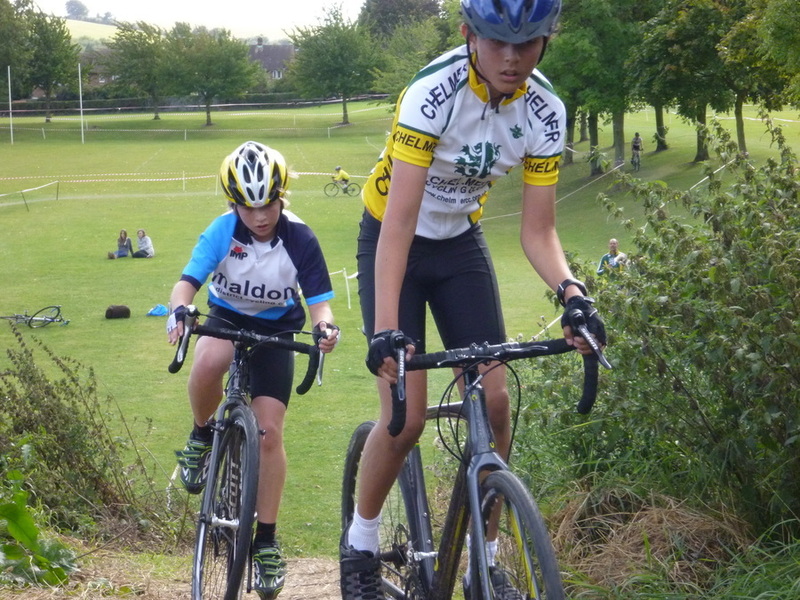 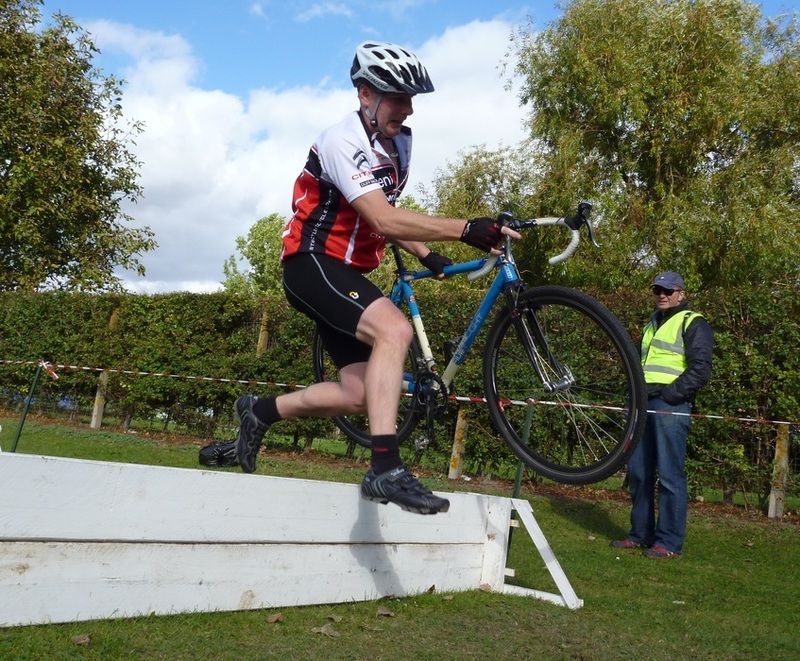 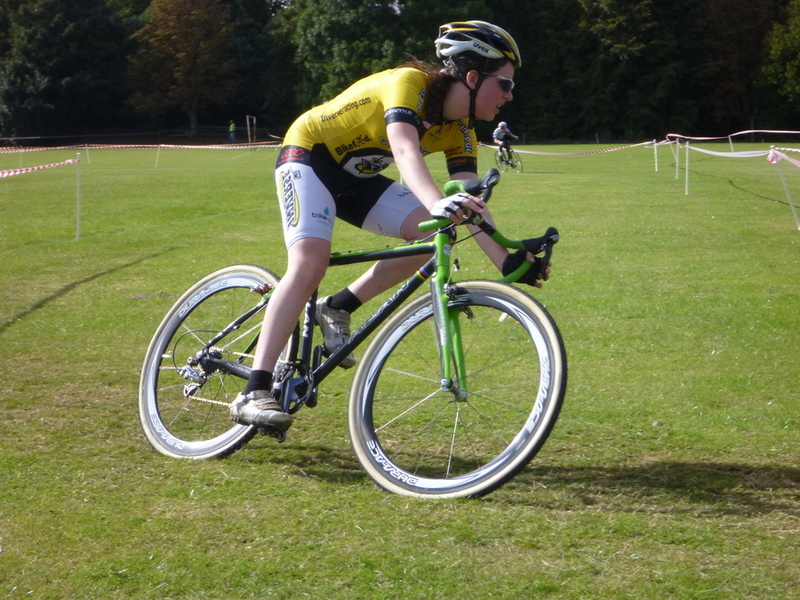 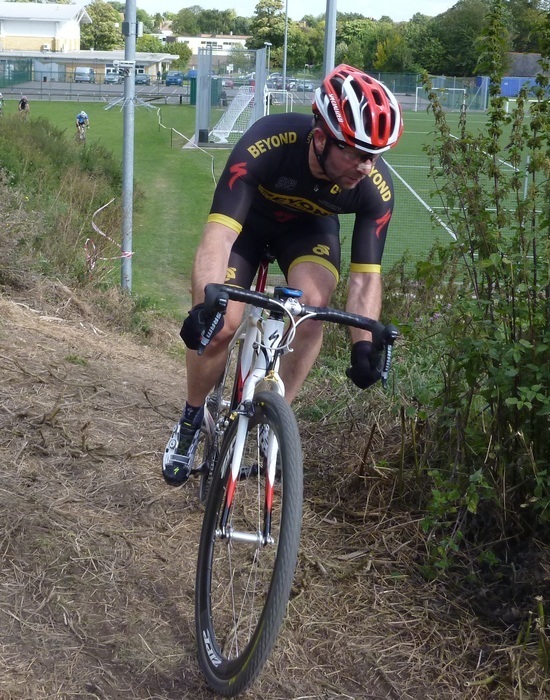 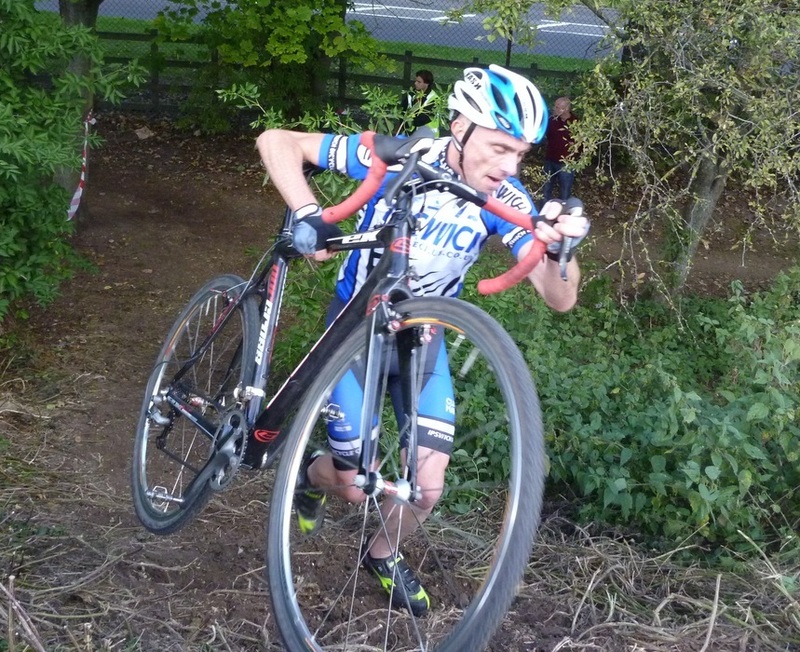 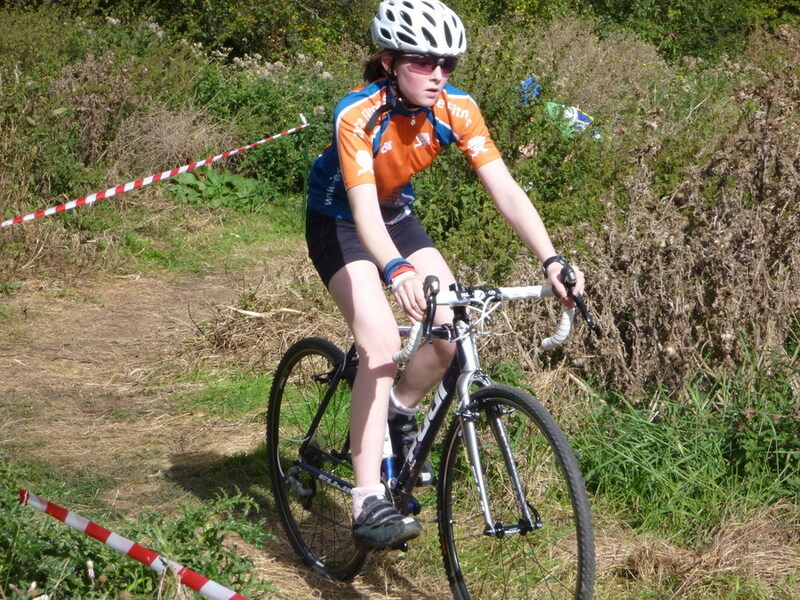 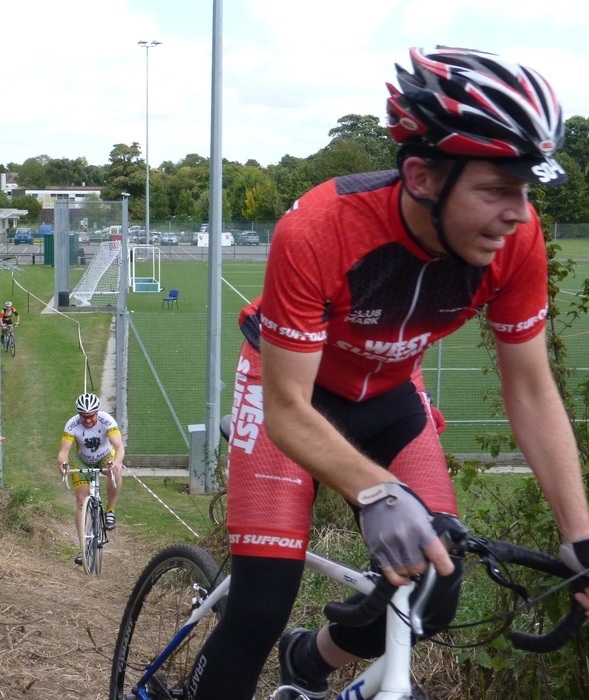 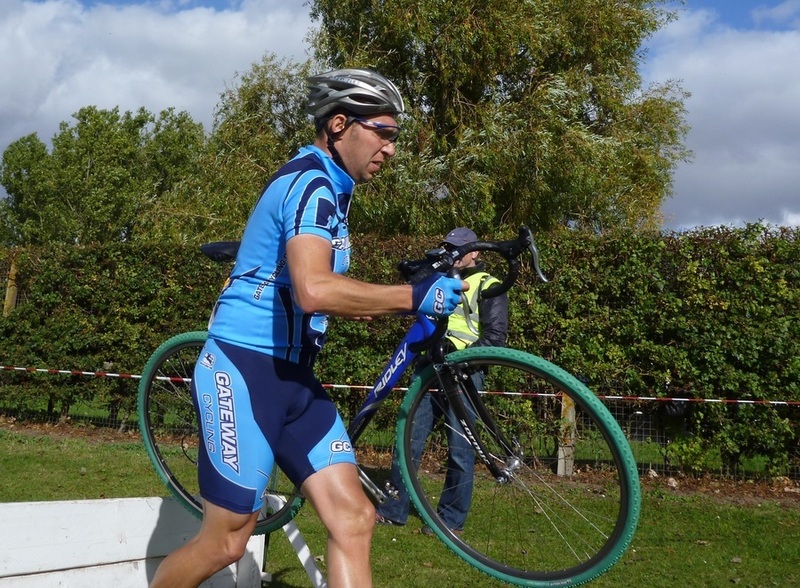 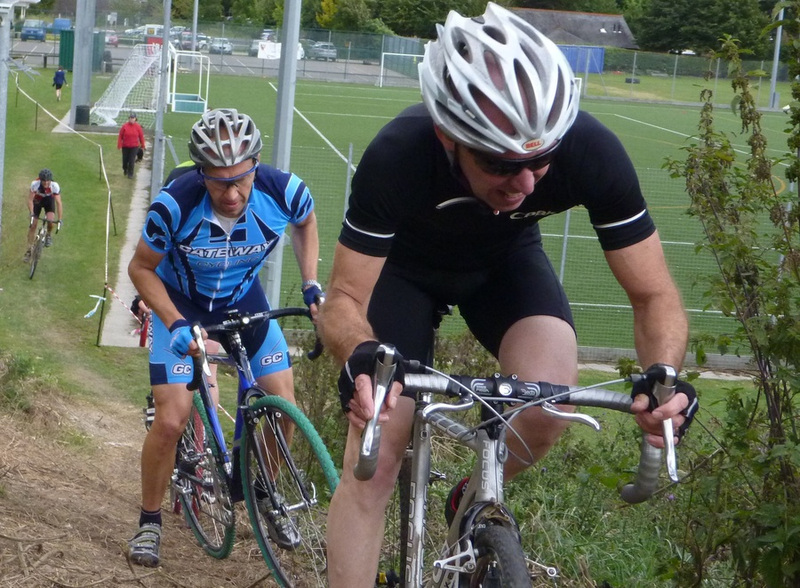 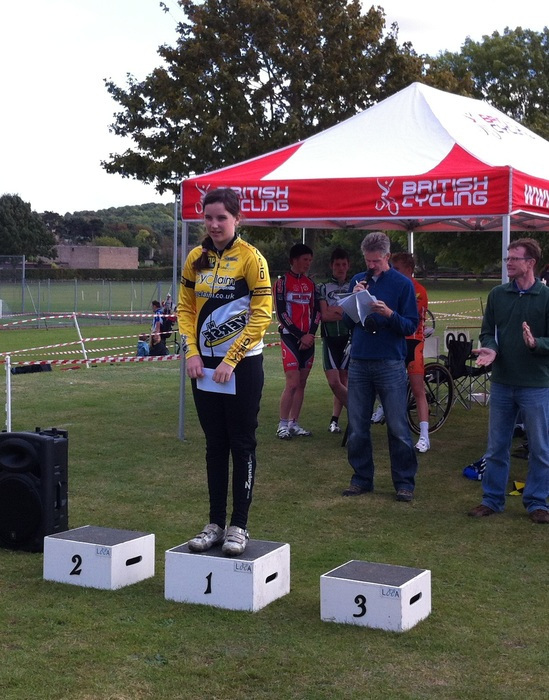 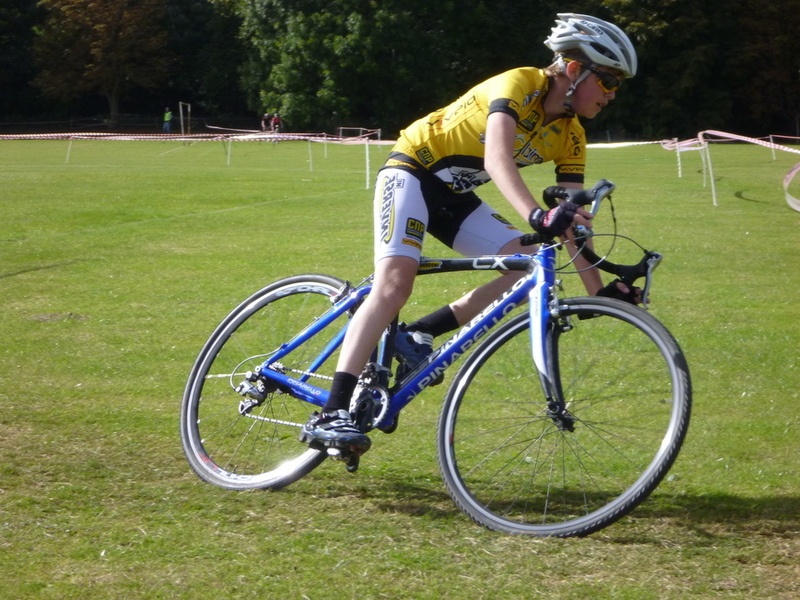 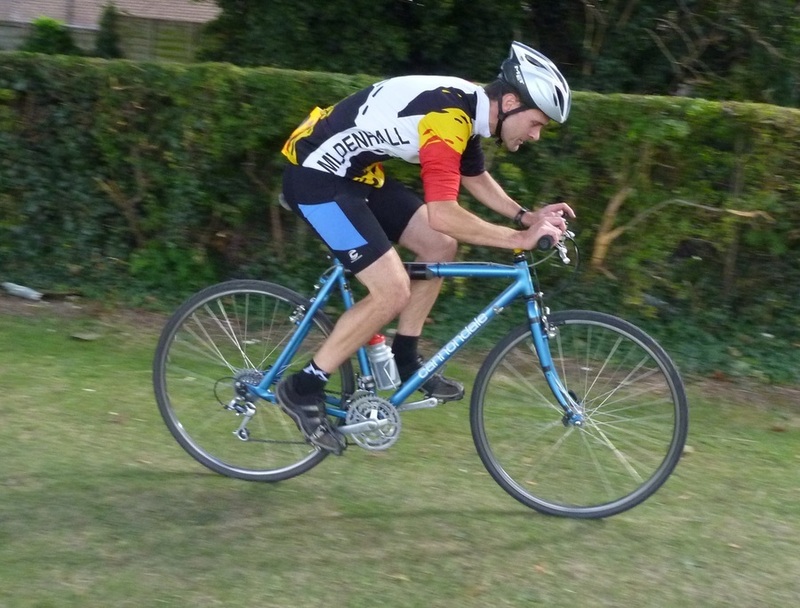 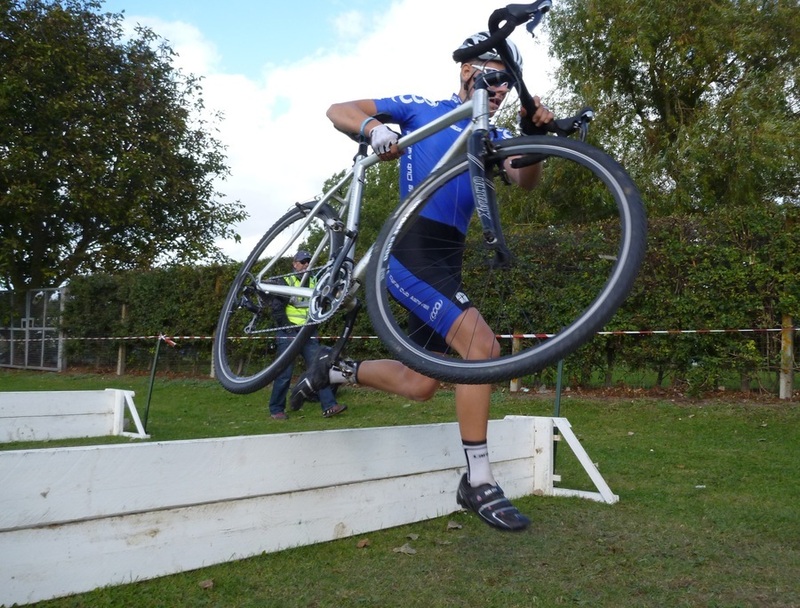 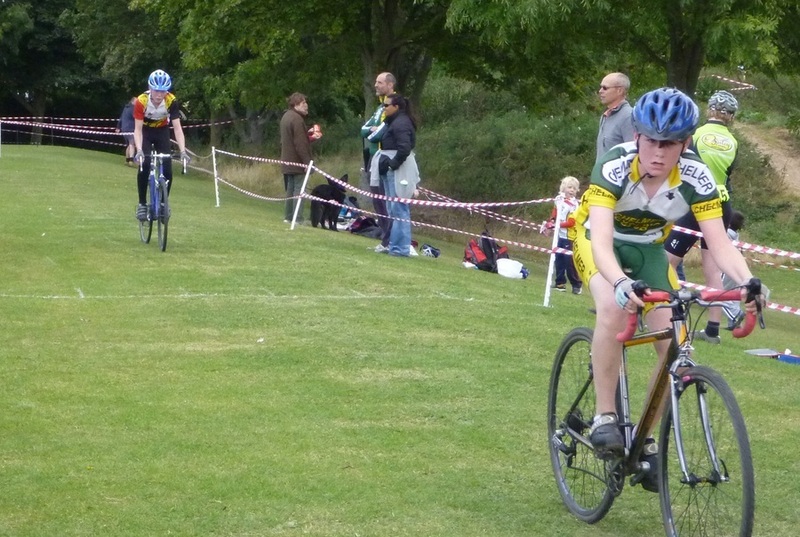 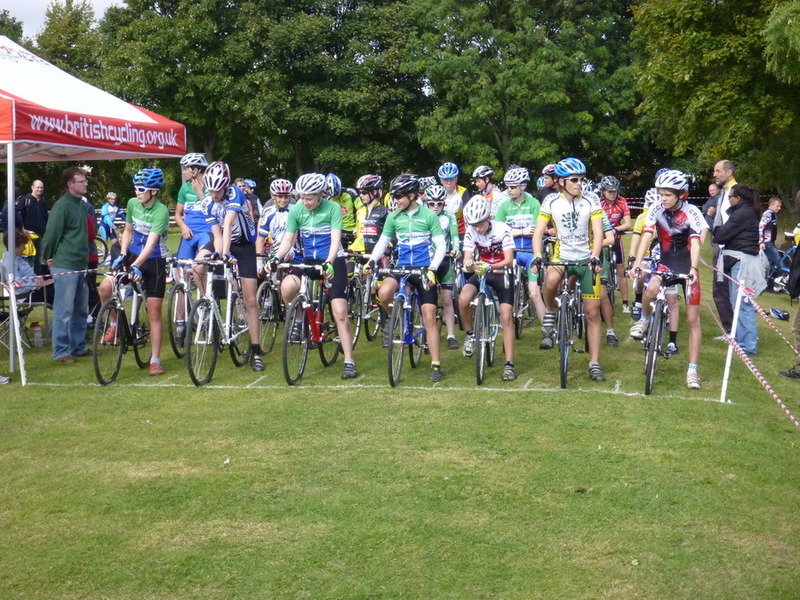 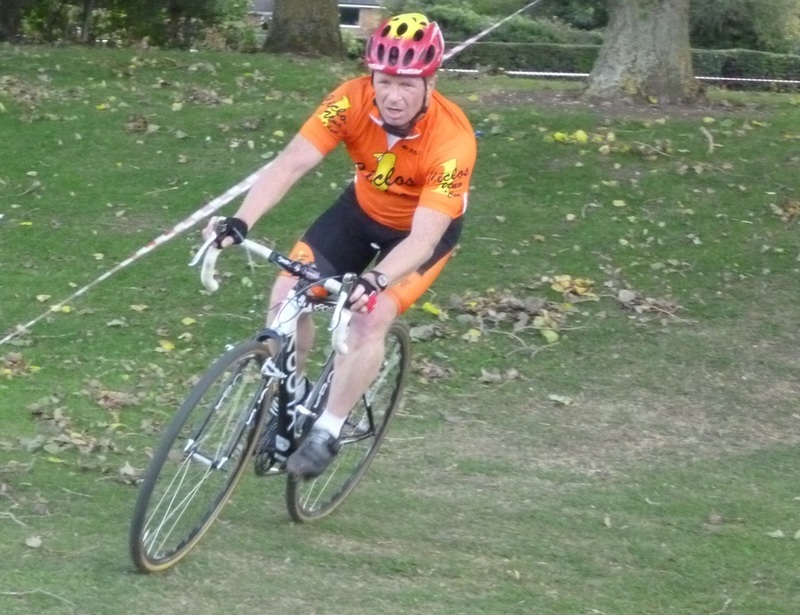 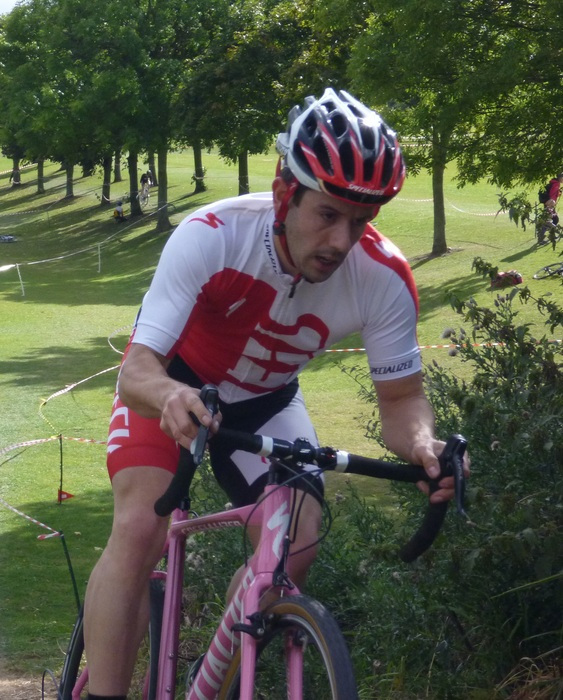 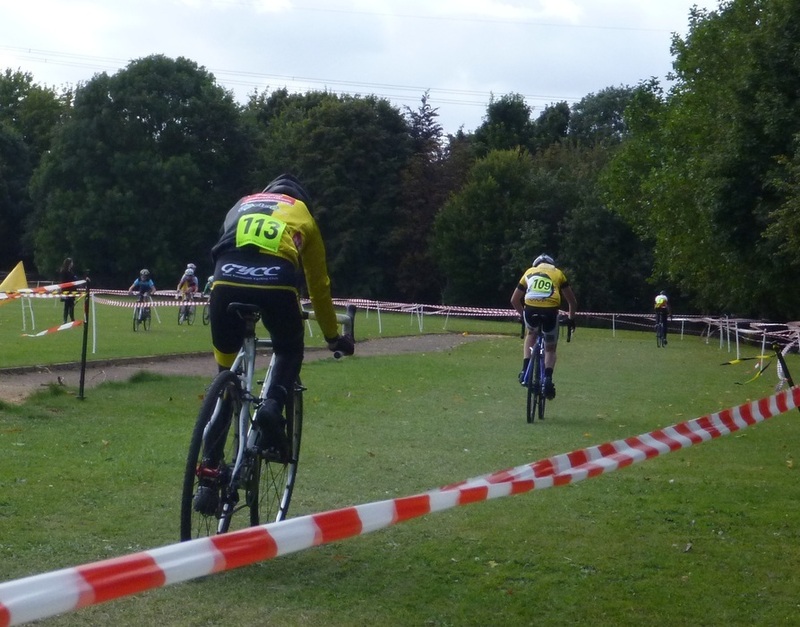 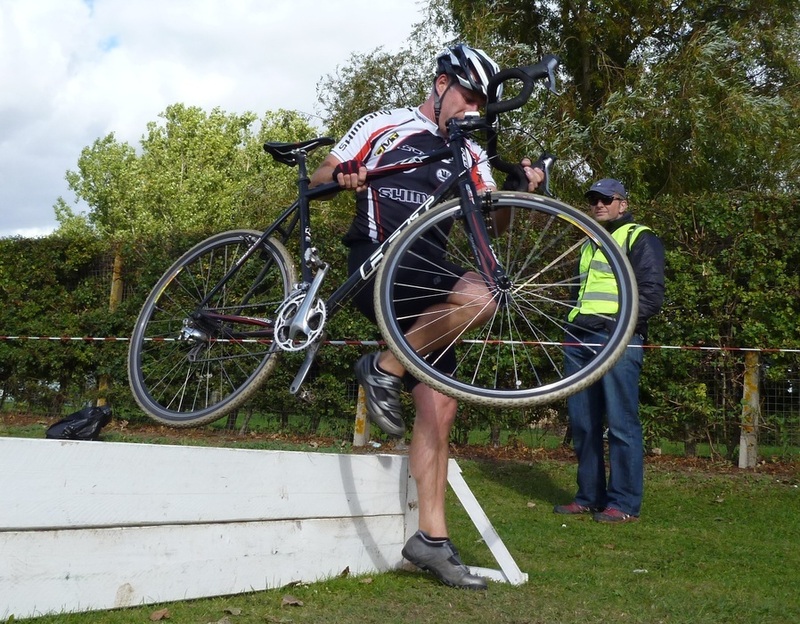 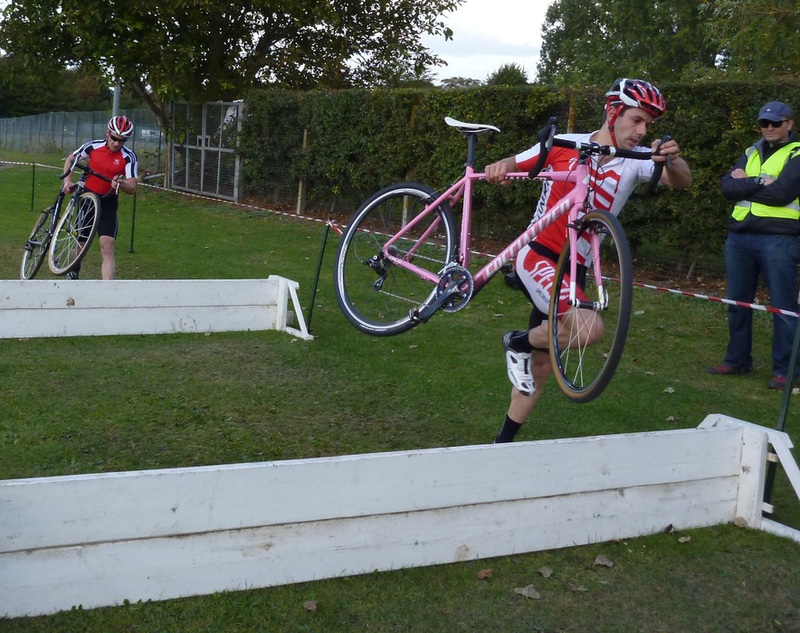 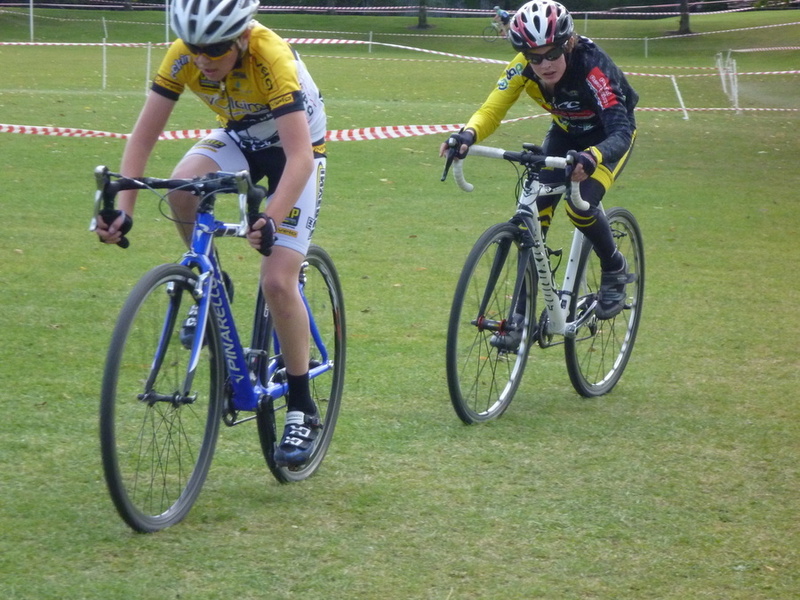 A blustery wind on large sections of soft grass made this cyclocross course at Baldock a bit of a slog in places, and strategy was required to shelter on opponents' wheels. 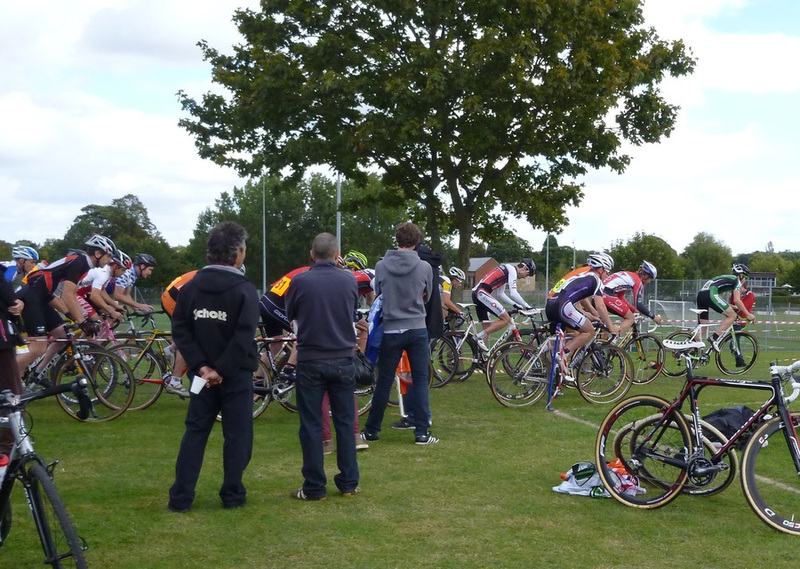 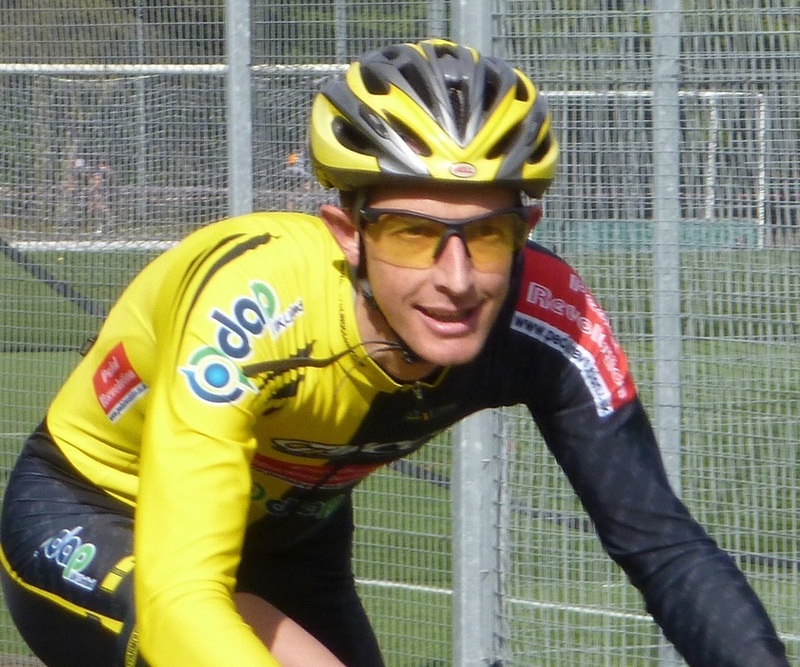 A fast-paced race at the front put the wannabe riders under a lot of pressure, causing early fragmentation in the field. 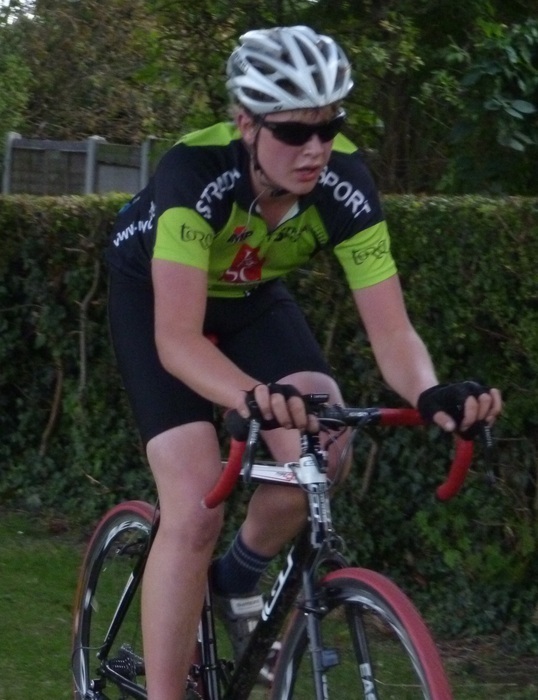 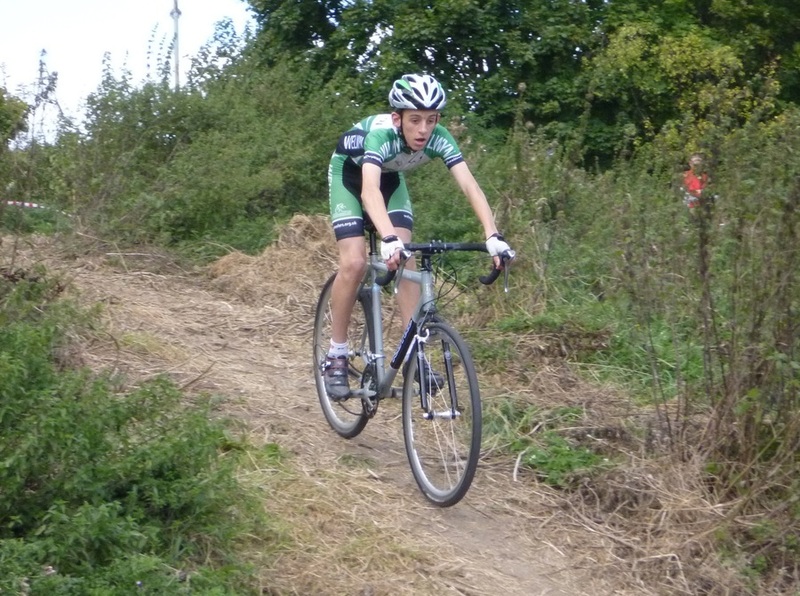 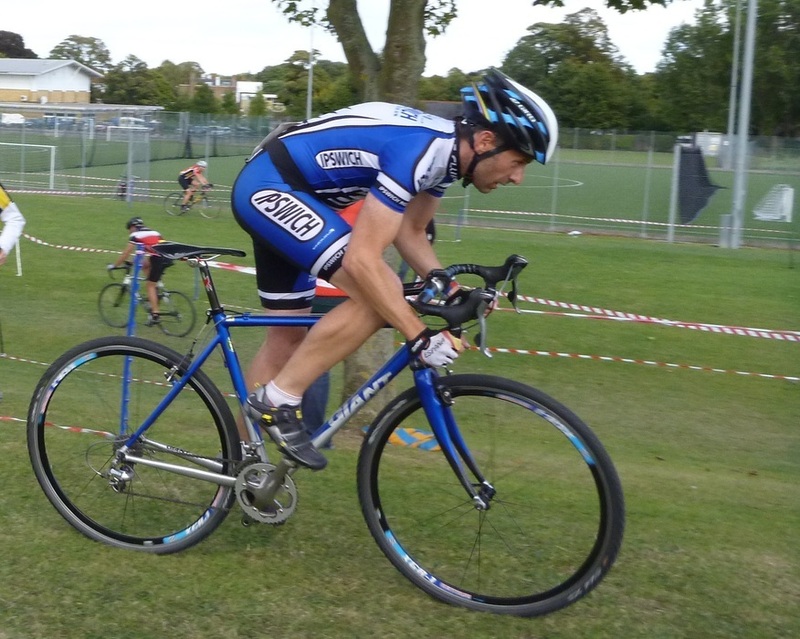 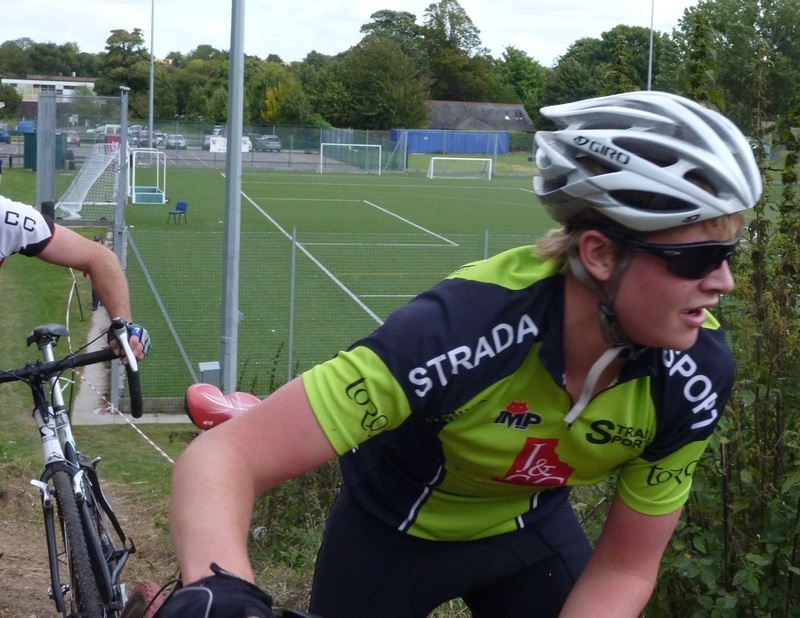 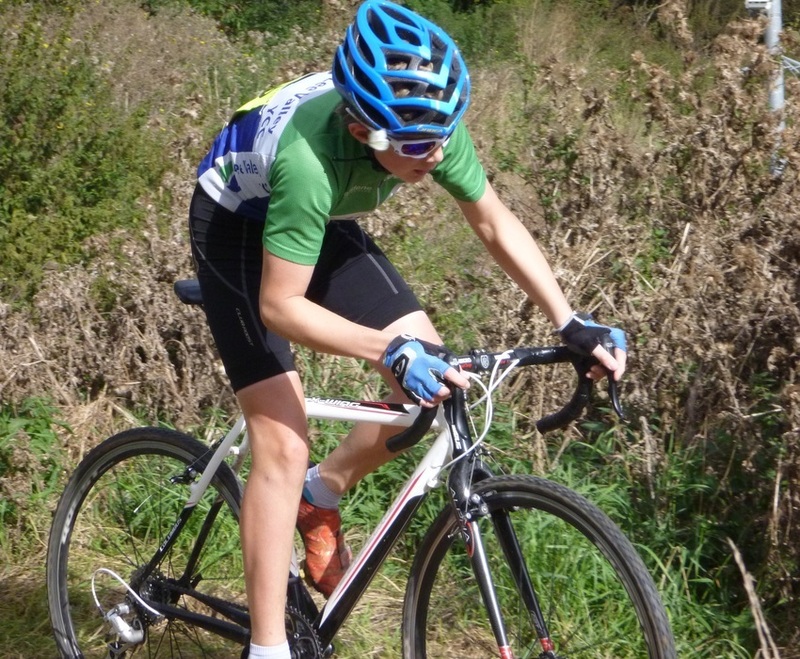 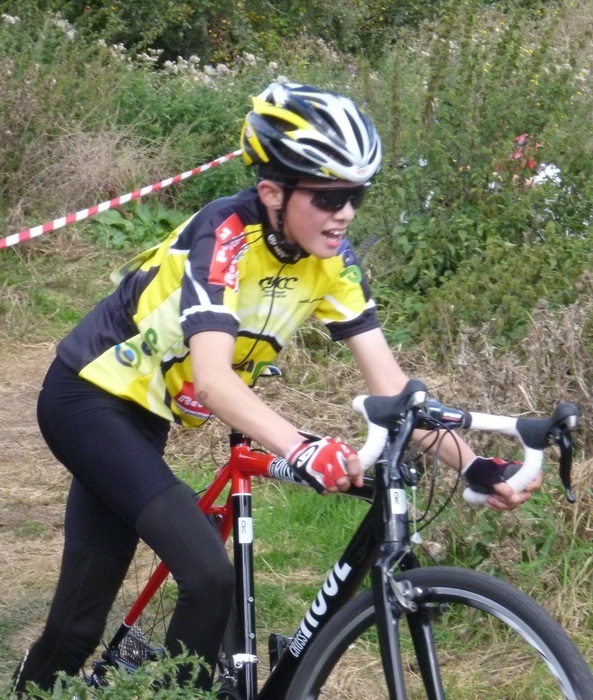 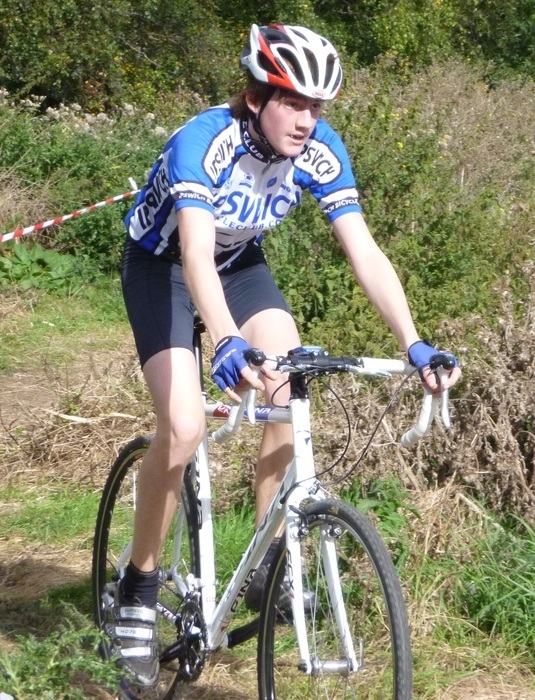 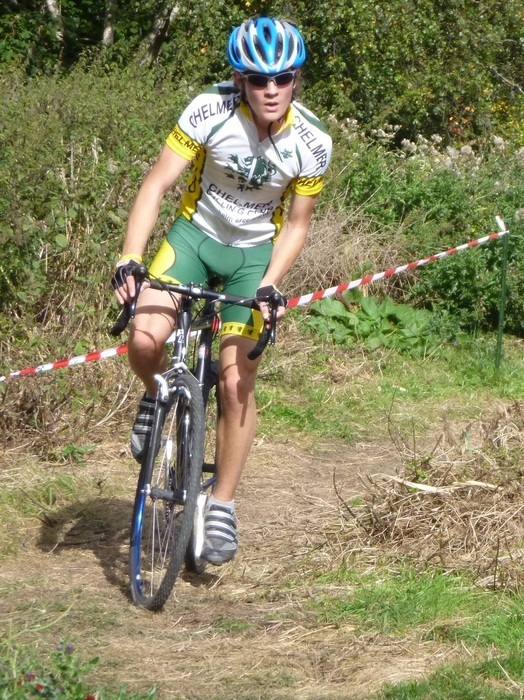 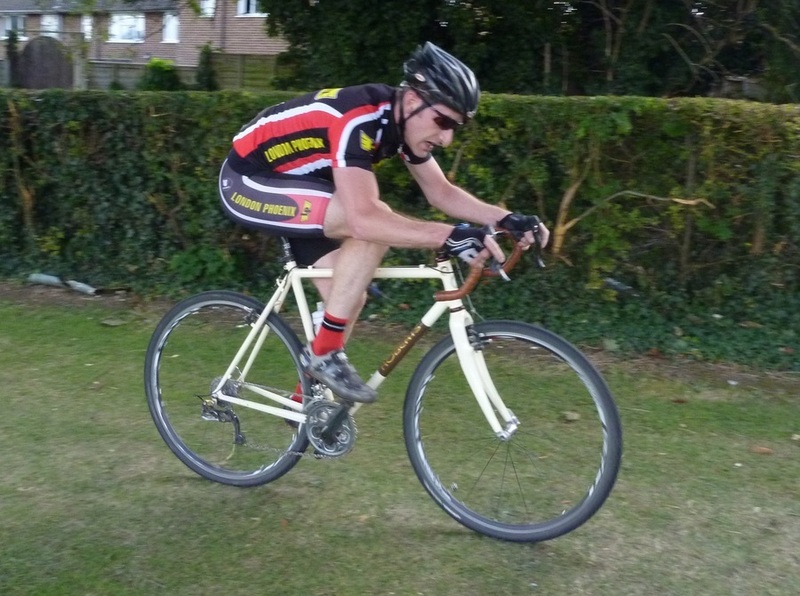 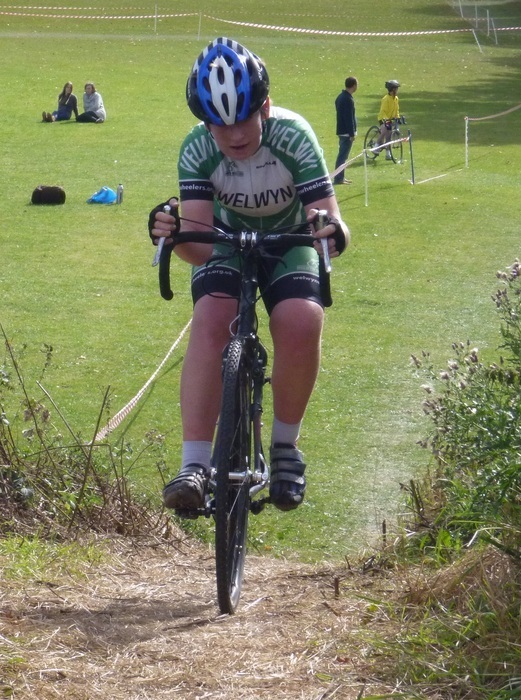 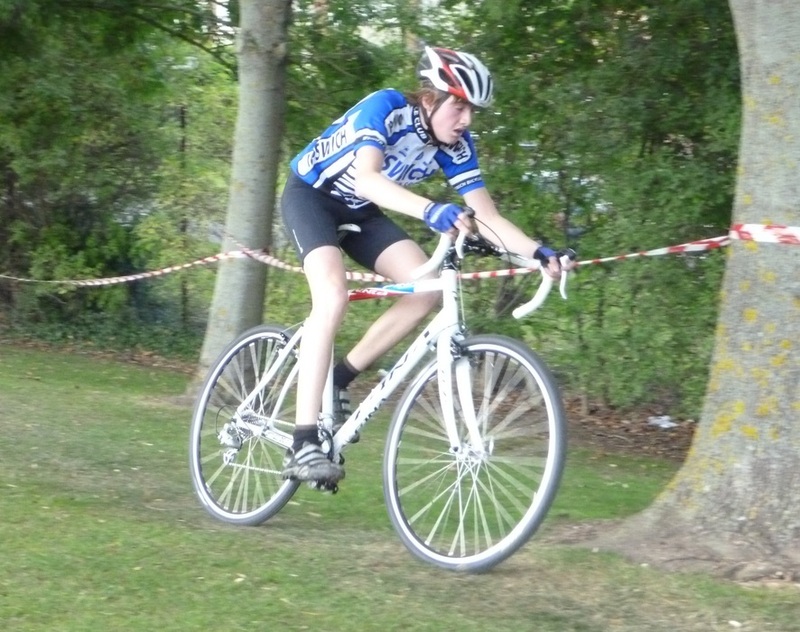 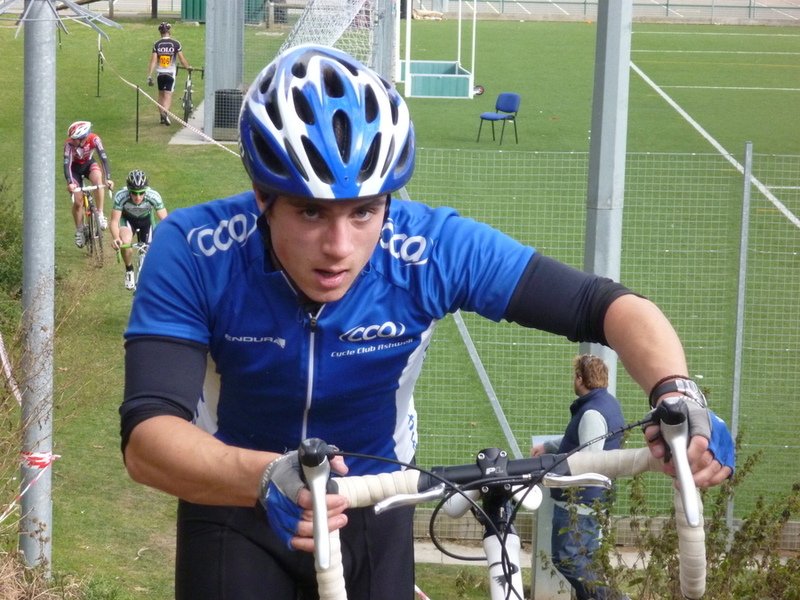 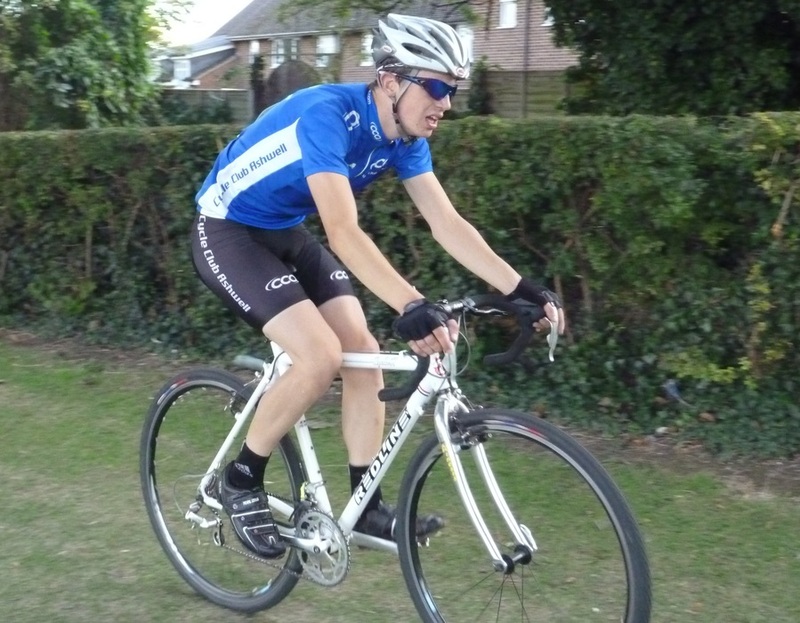 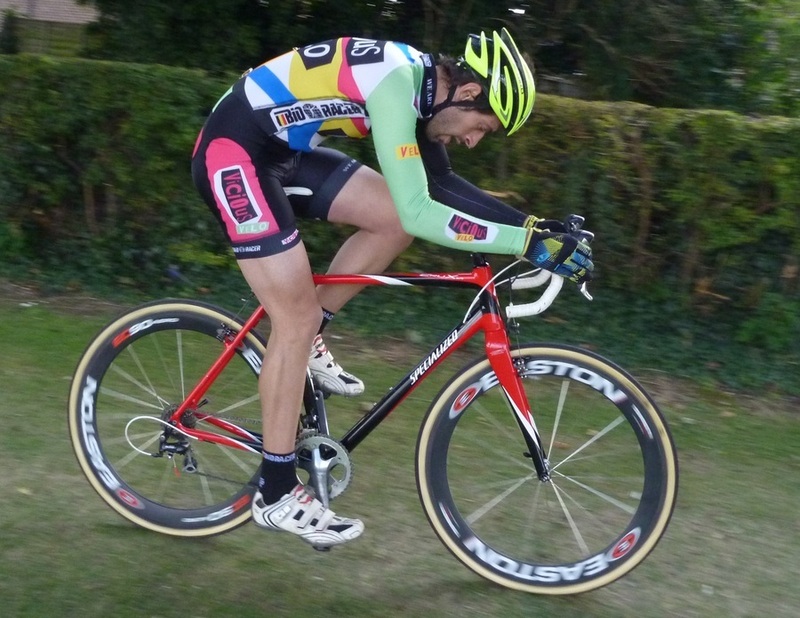 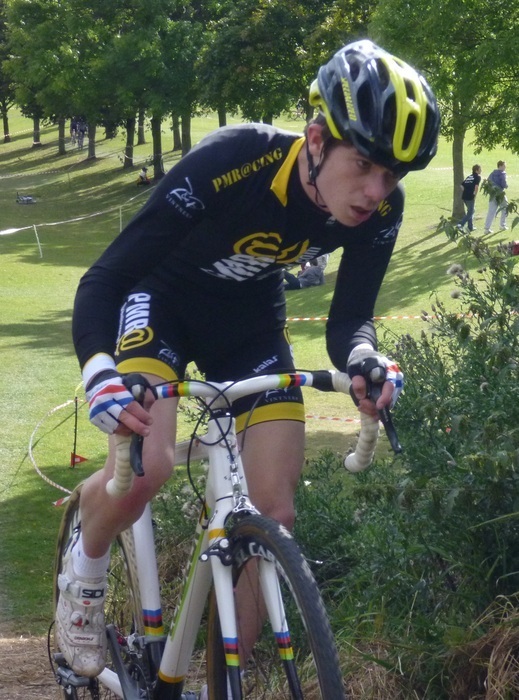 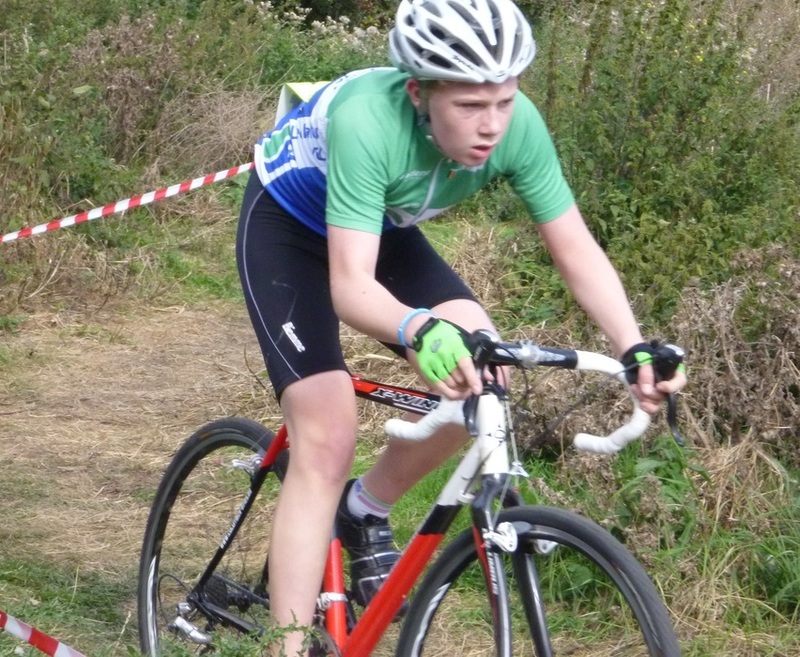 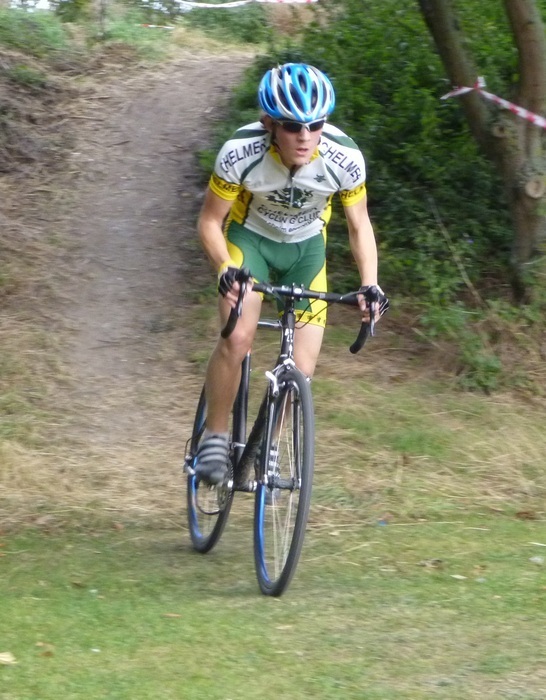 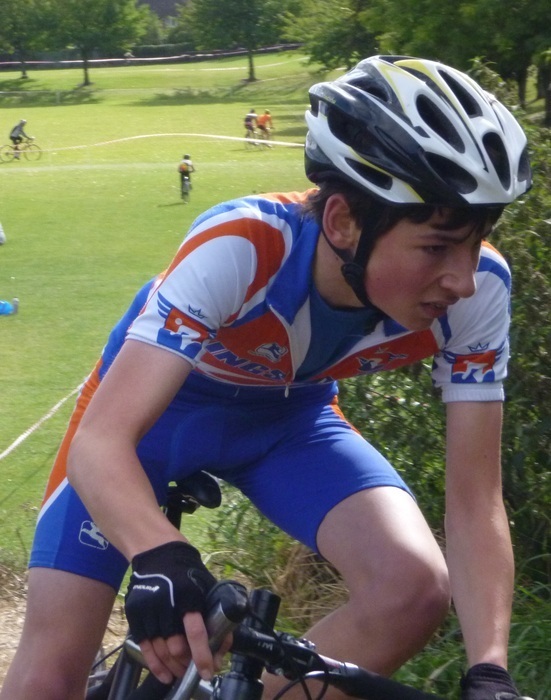 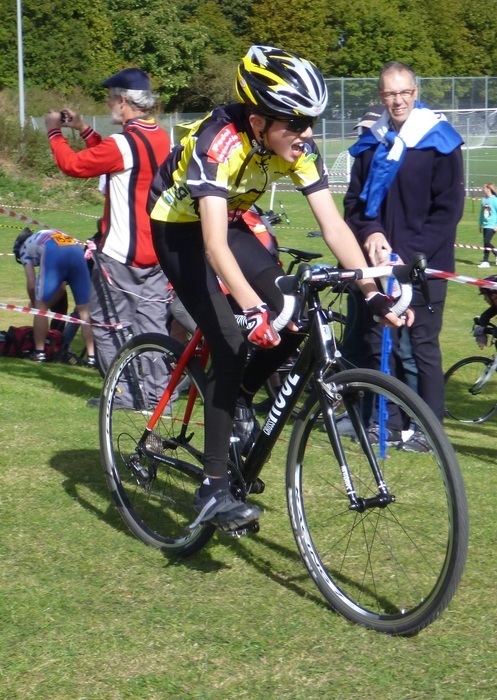 Zak Coleman (Inverse) was back on form and managed to stick with William Raymond (Welwyn Wheelers) but couldn't beat him on the line. 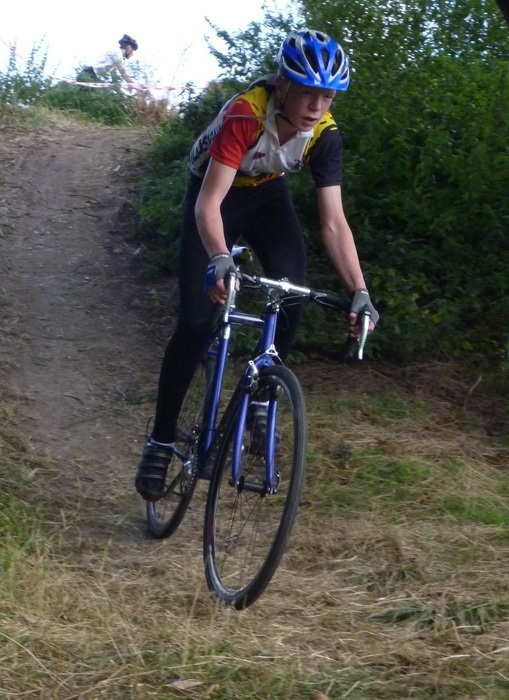 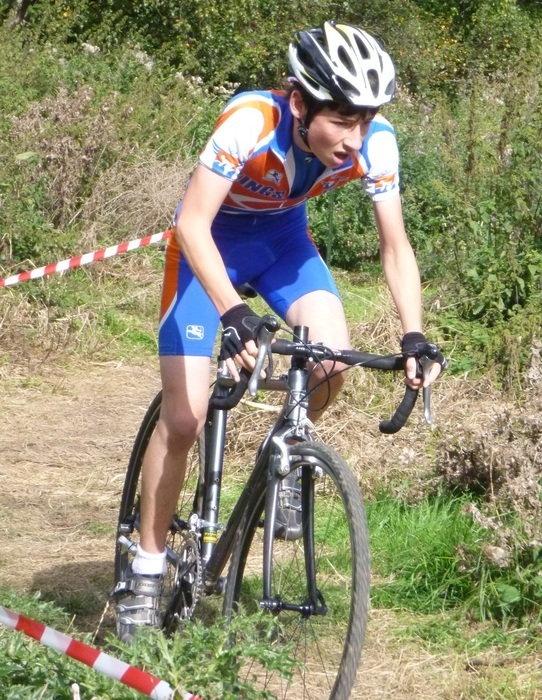 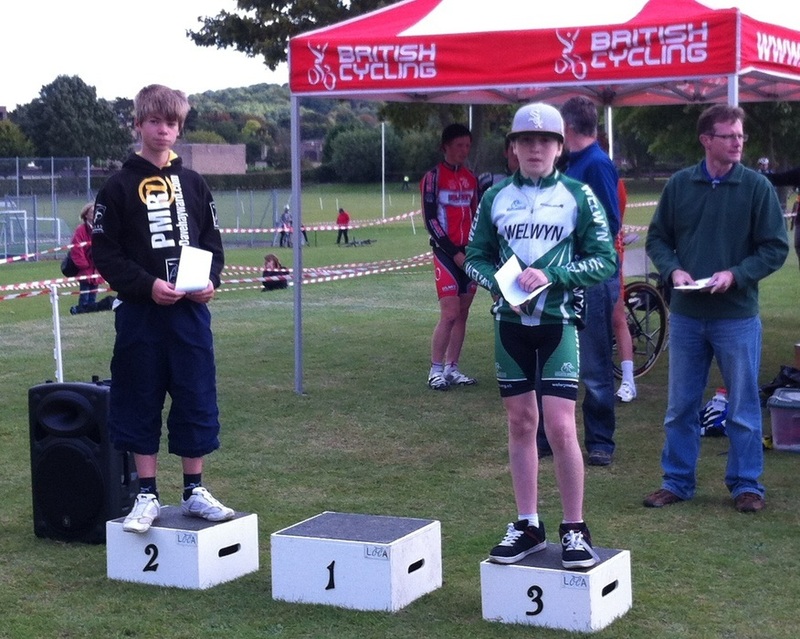 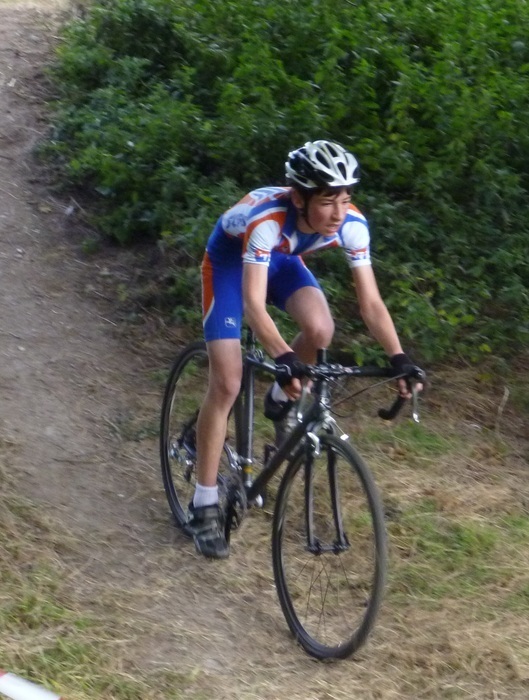 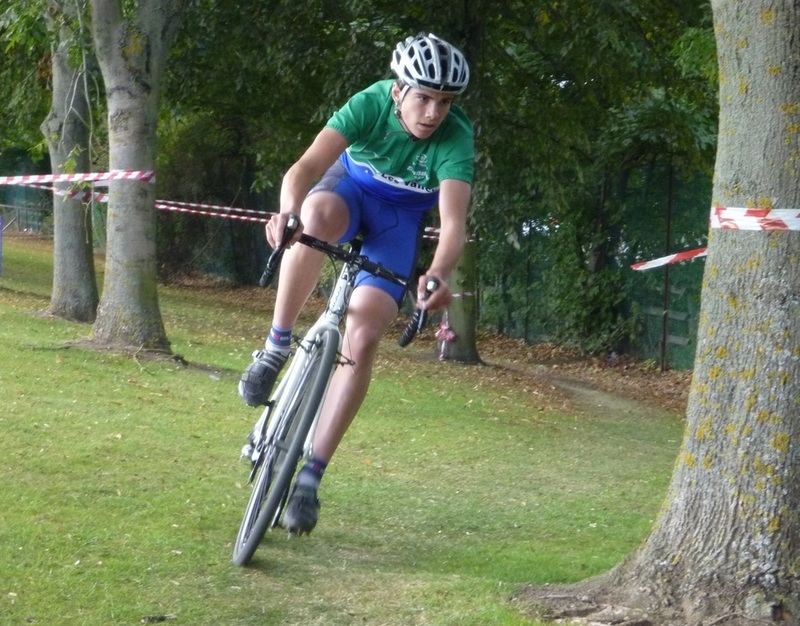 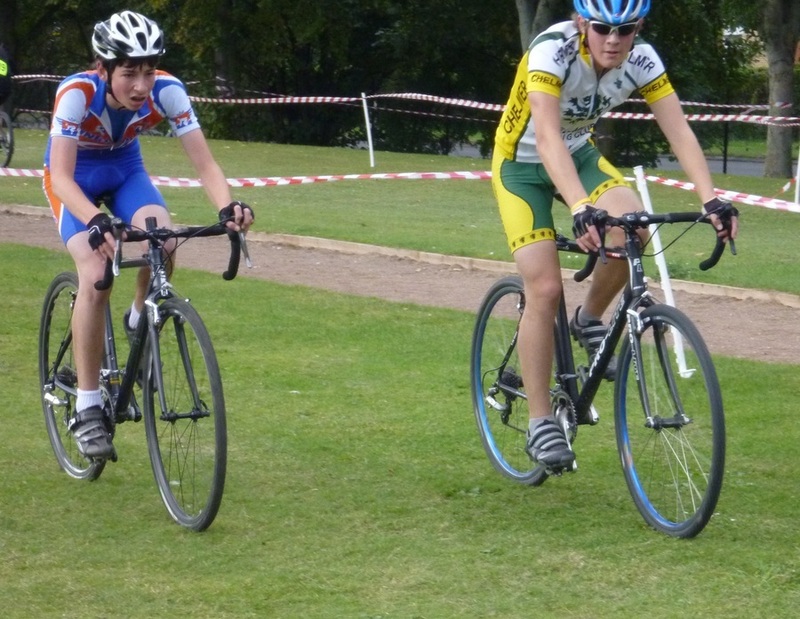 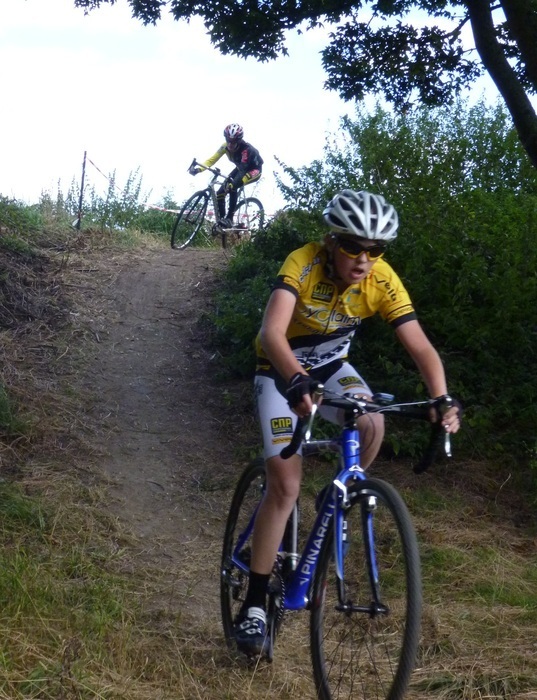 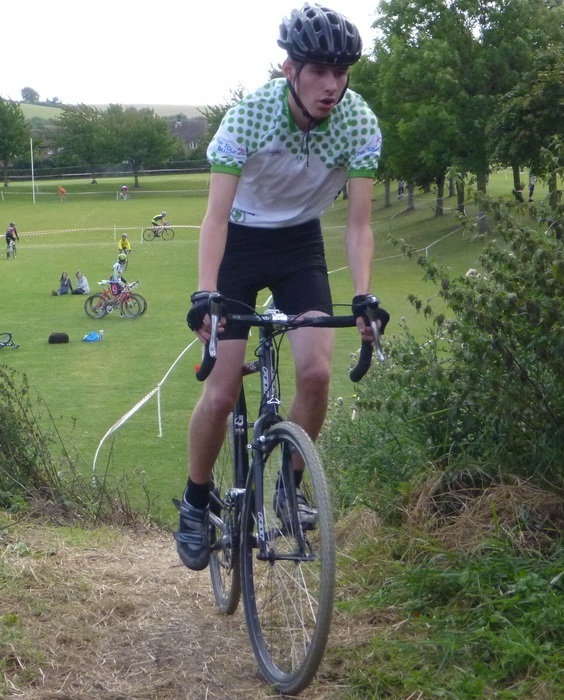 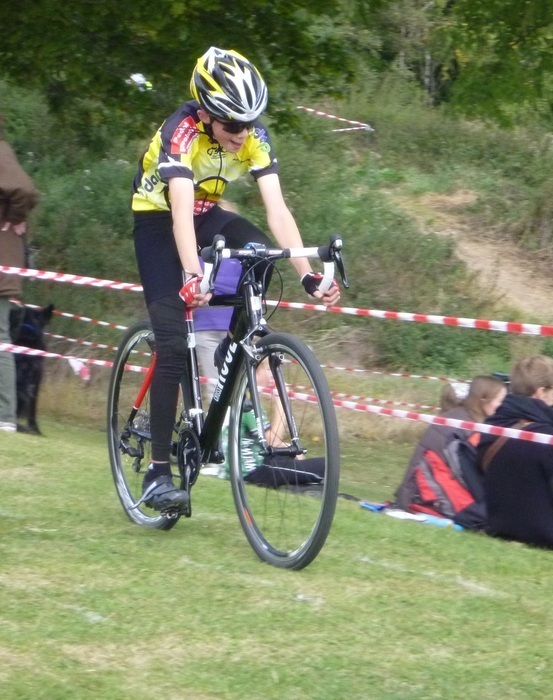 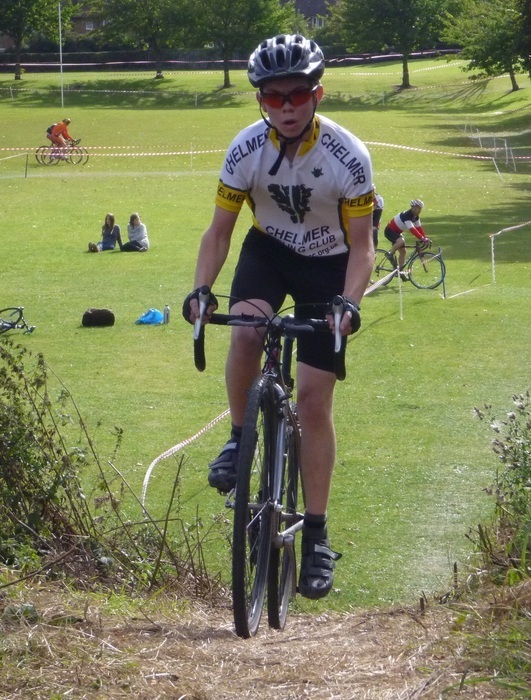 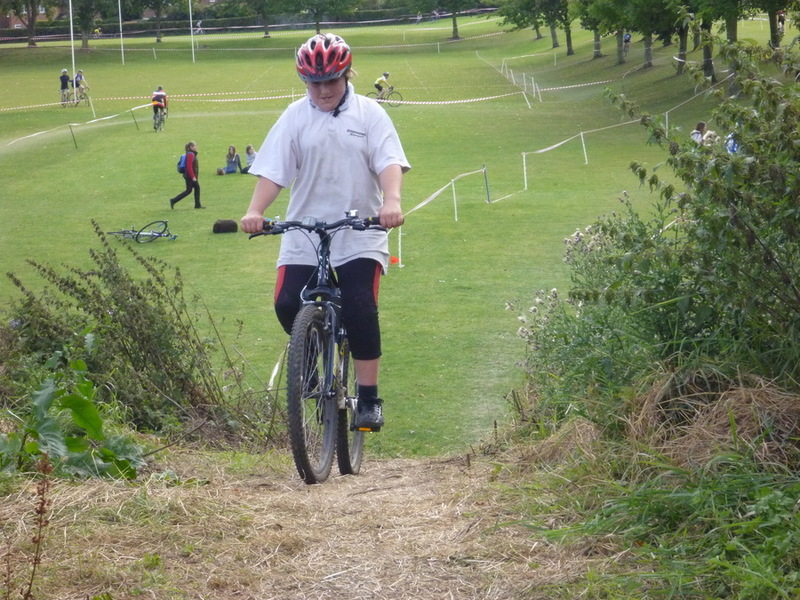 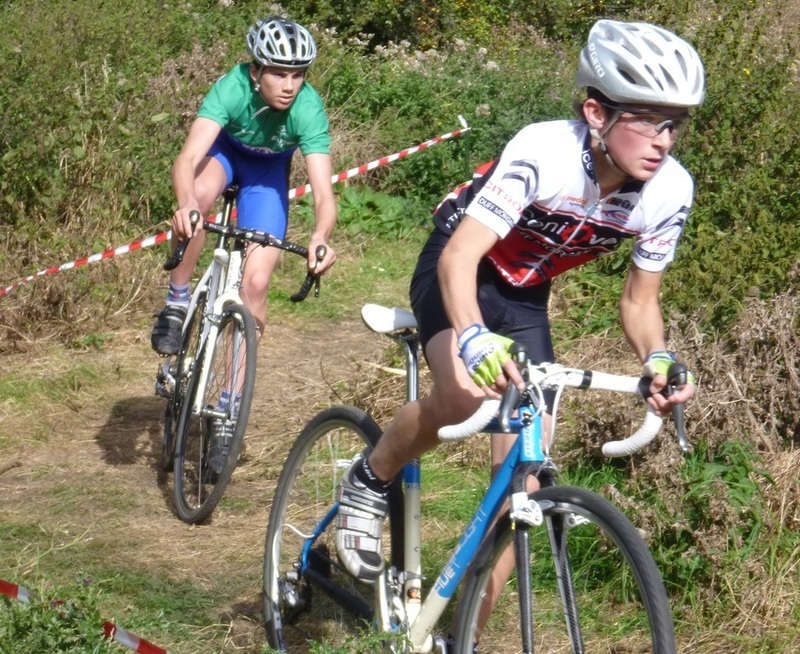 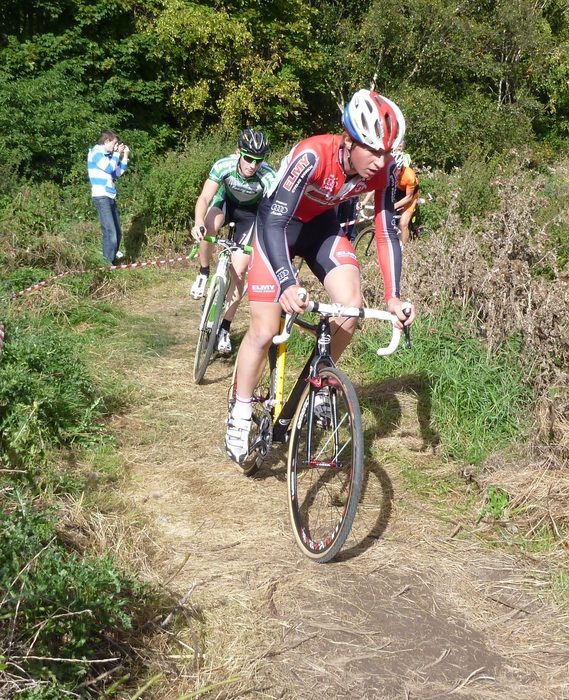 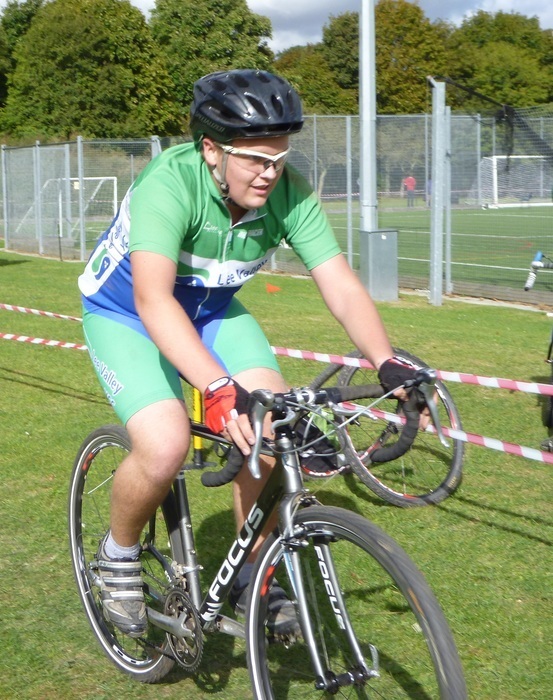 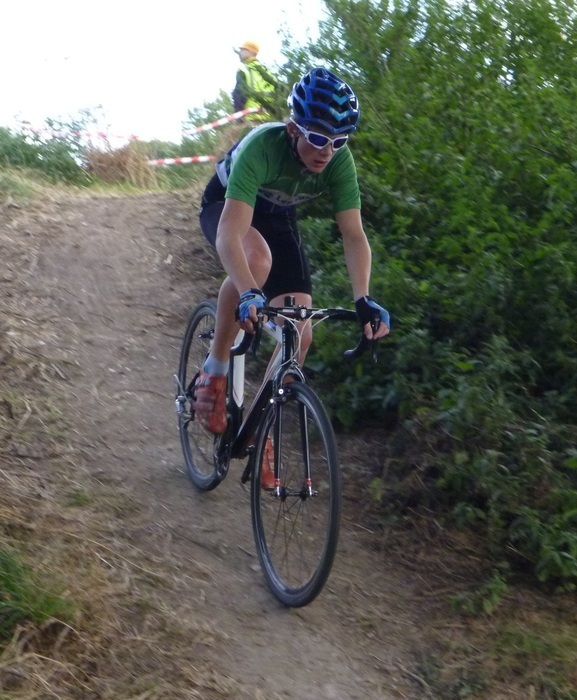 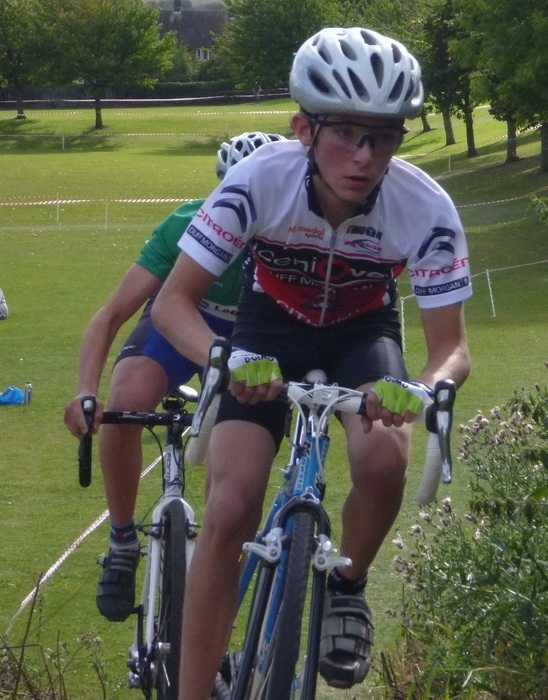 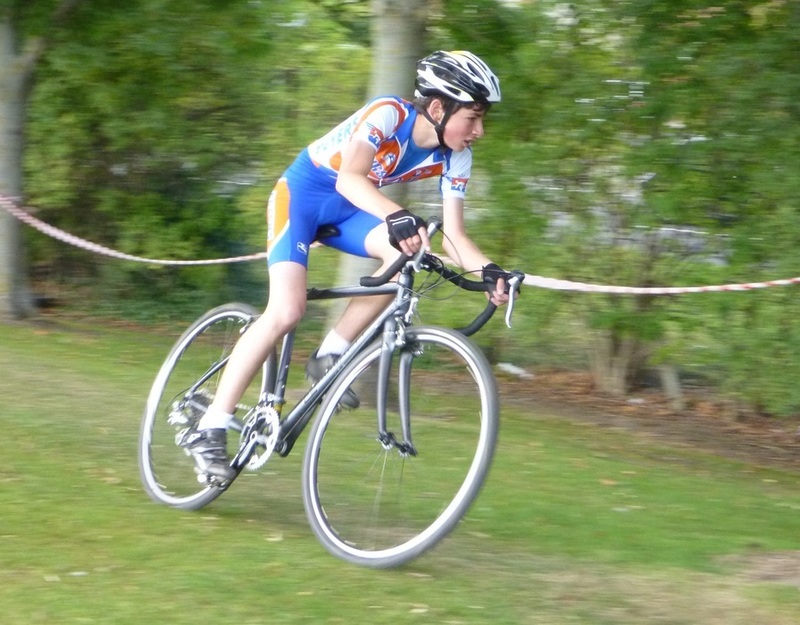 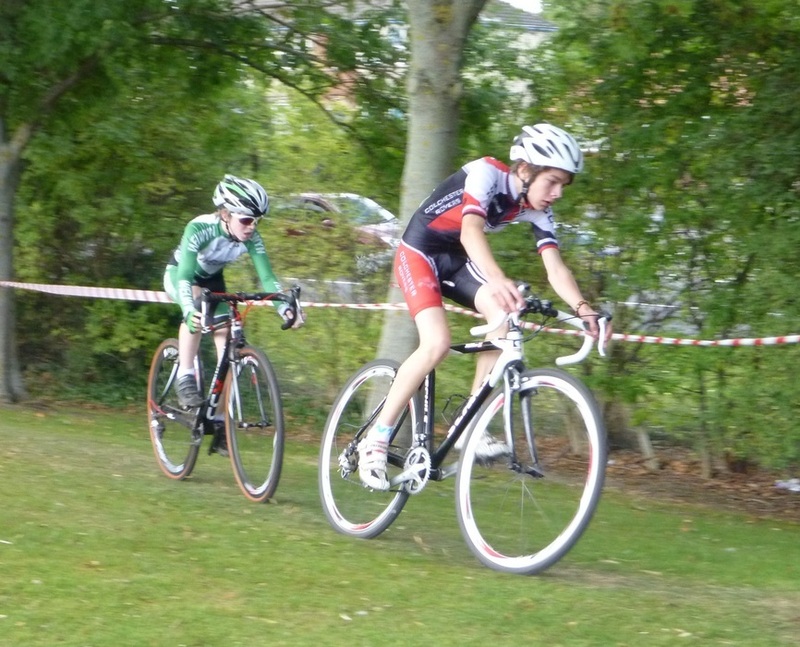 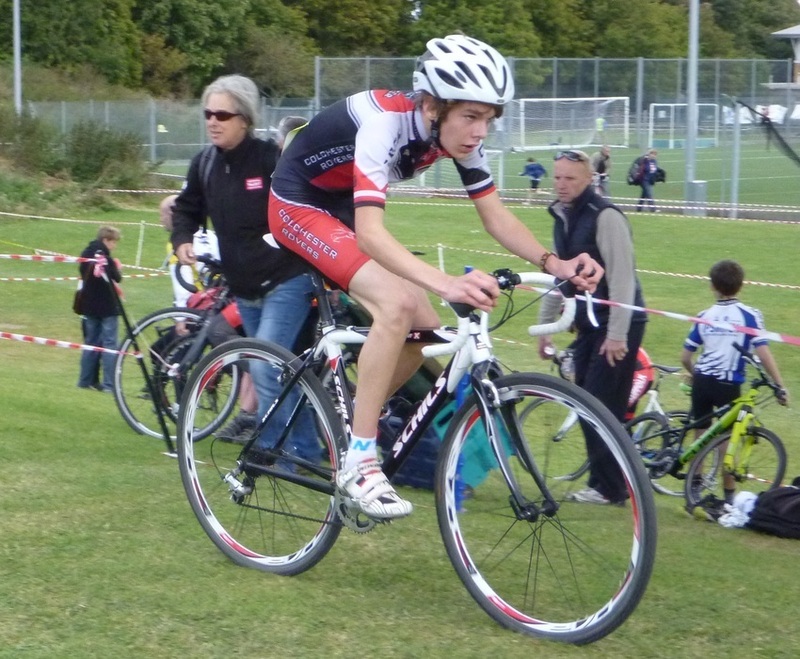 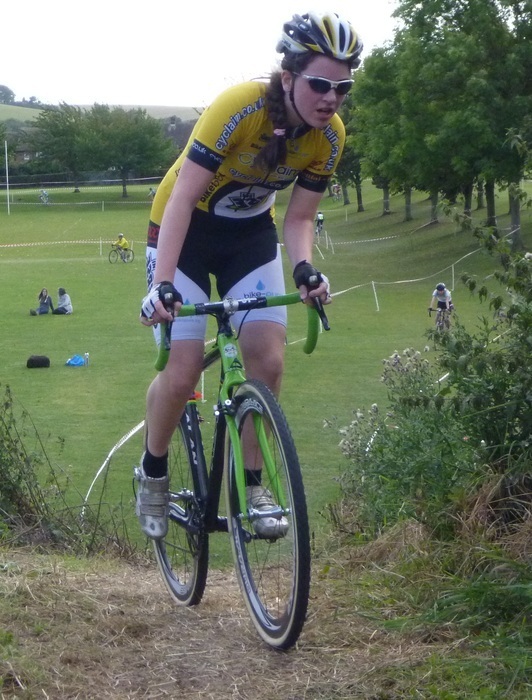 Dan Swindells was up with Zak and William, but faded in the final two laps. 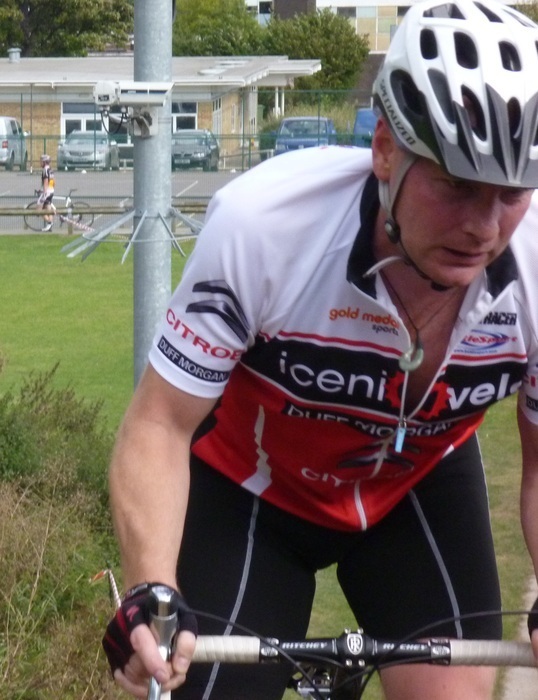 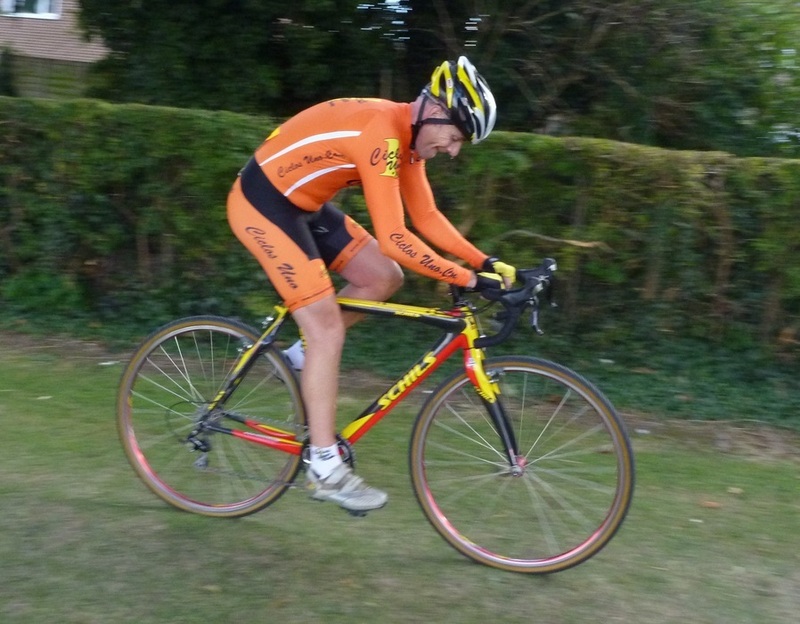 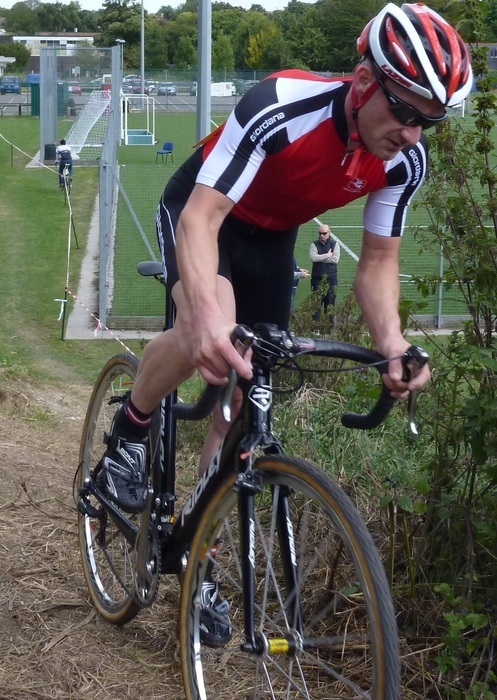 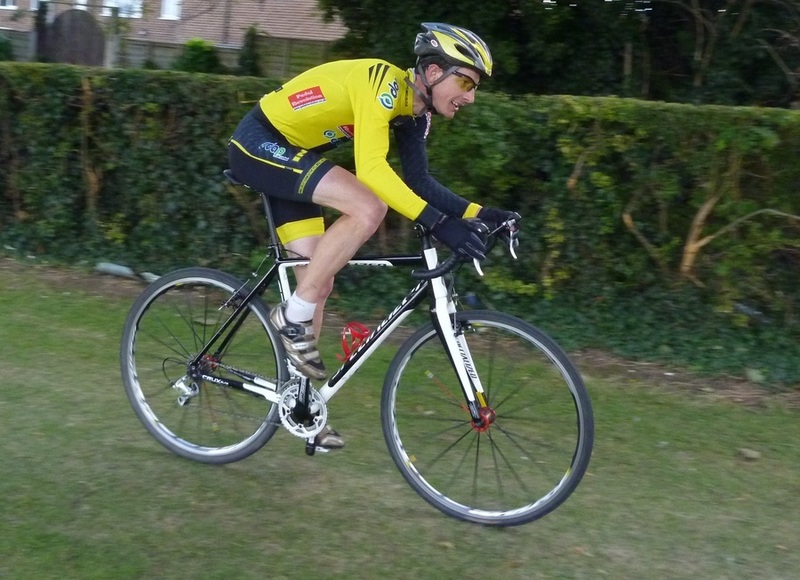 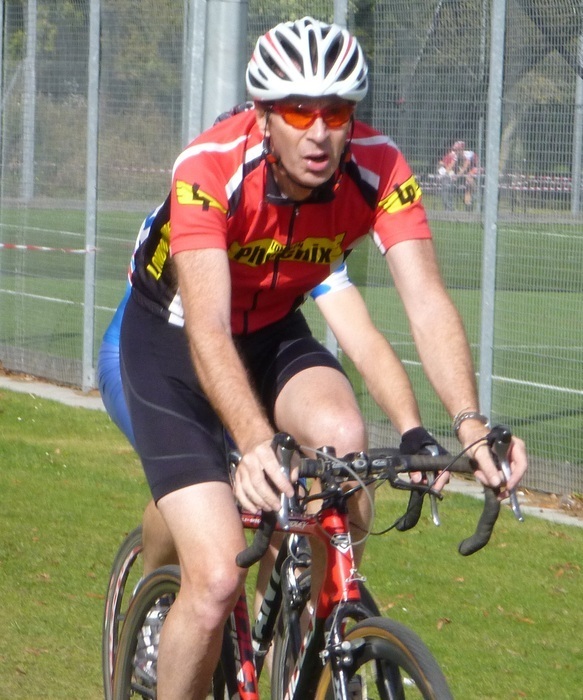 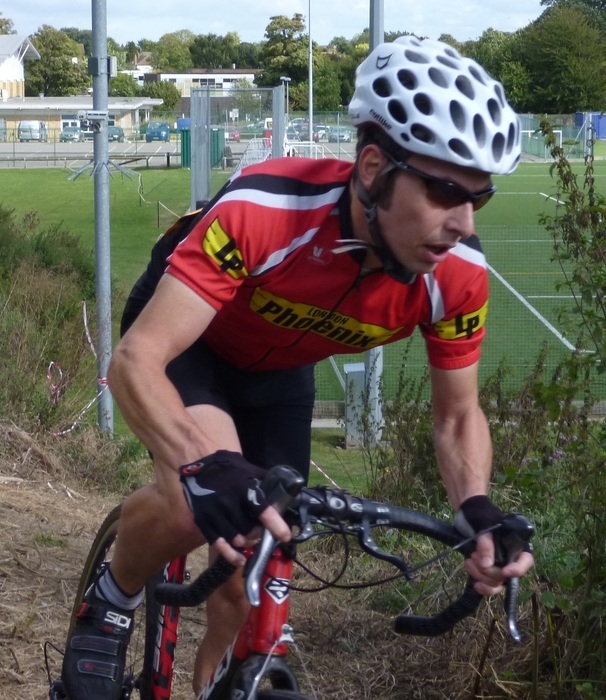 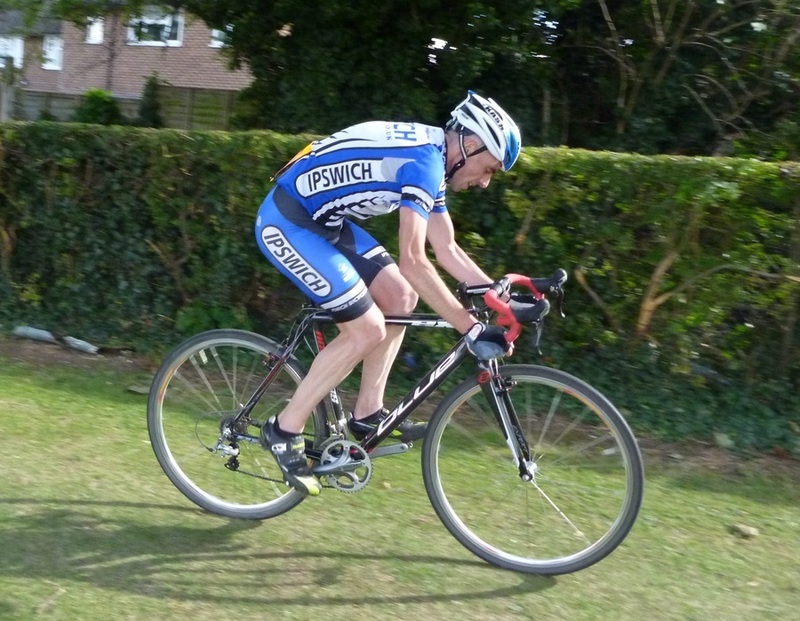 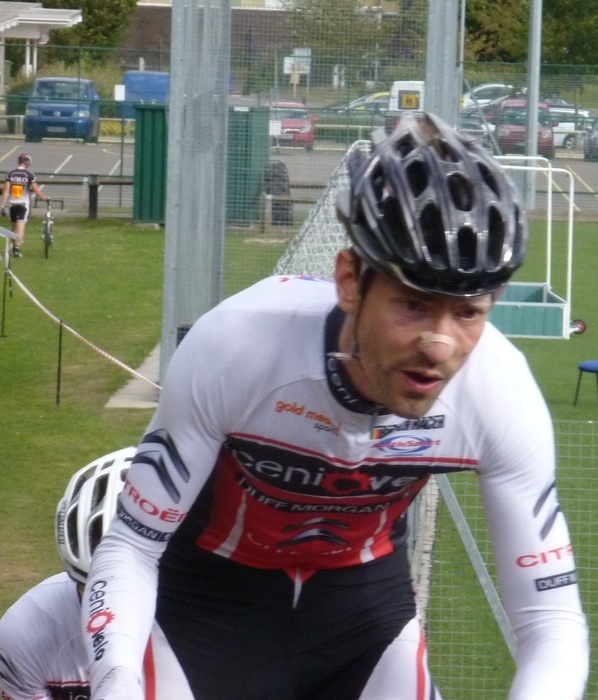 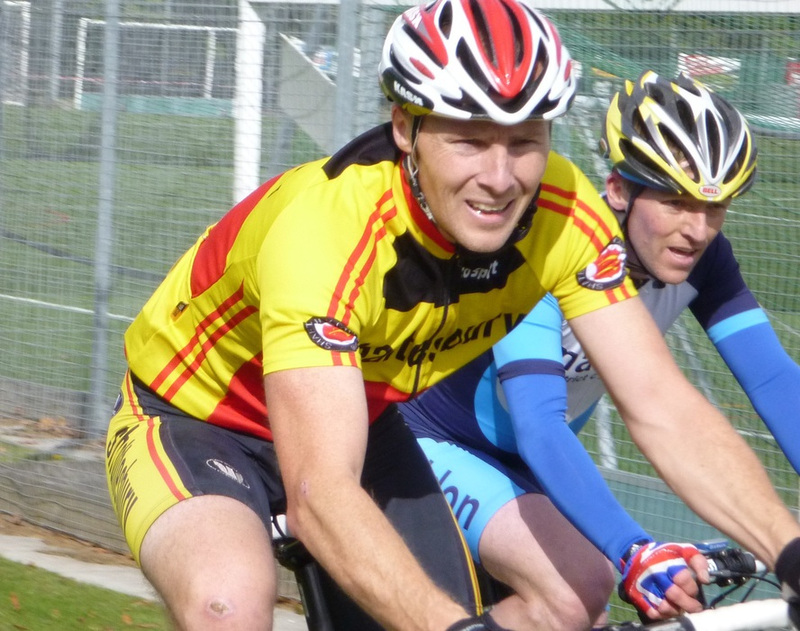 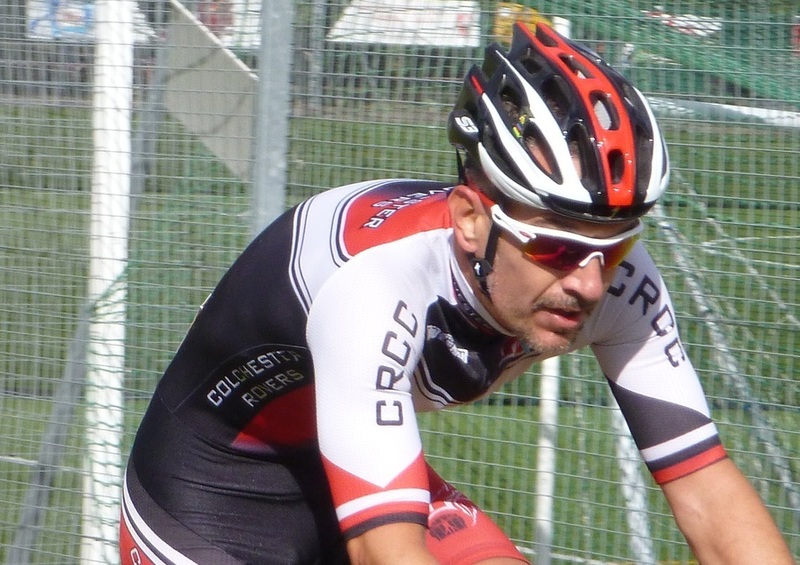 Fierce competition at the front of the field made for another fast race, and league favourite Tim Guy (Iceni) was only able to finish in 6th place. 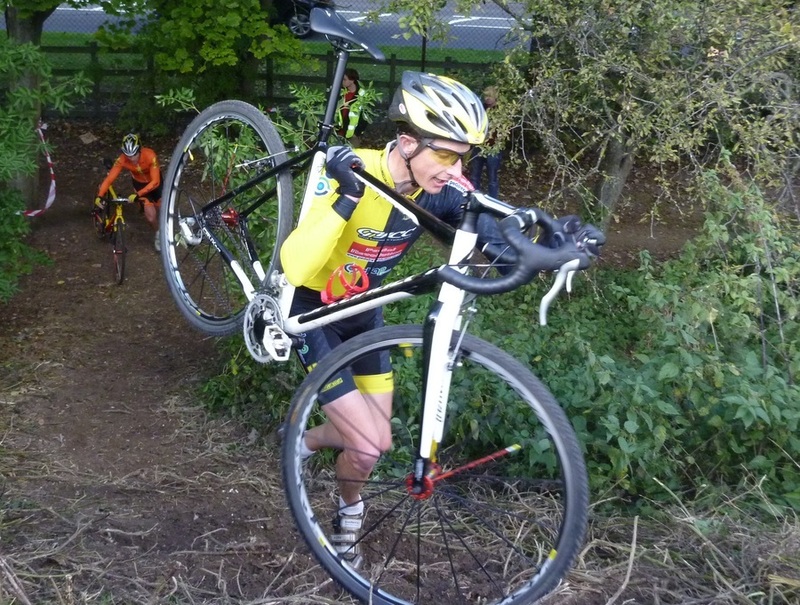 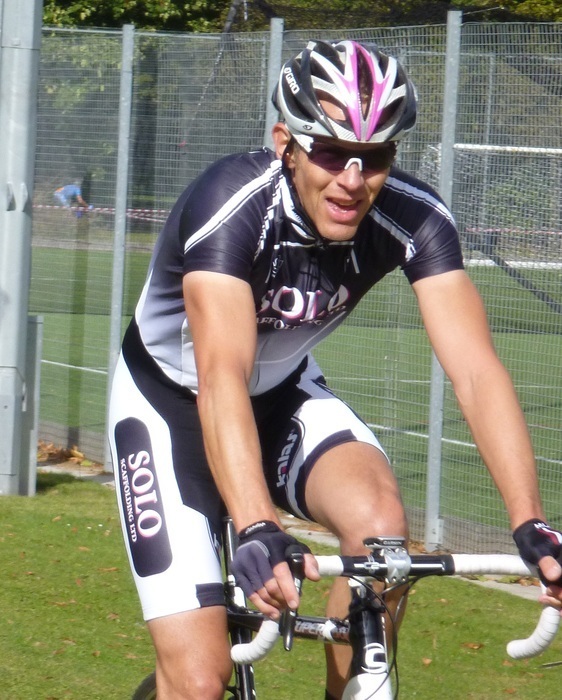 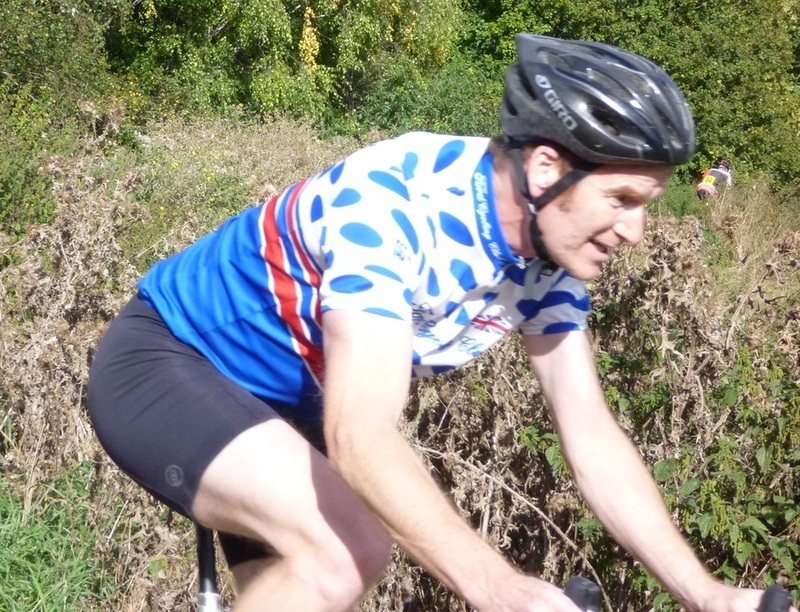 I was recovering from a cold and, despite feeling fine on the day, my lack of training miles saw me struggling on the exposed parts of the course. 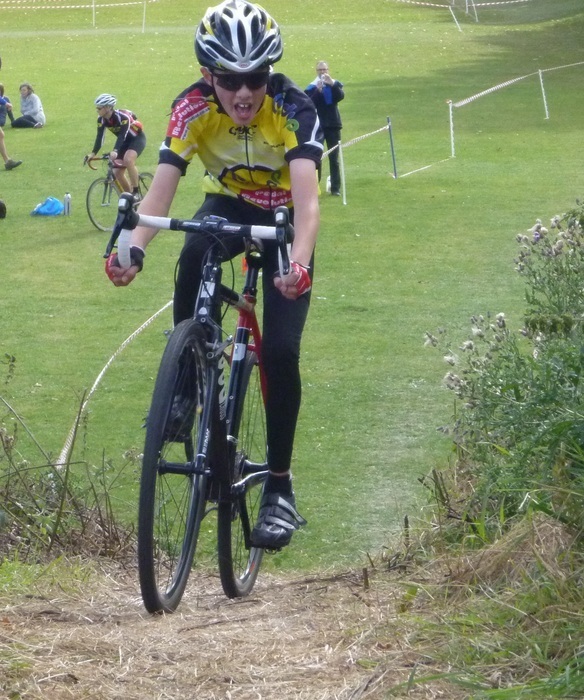 The onset of cramps in the calfs didn't help either.